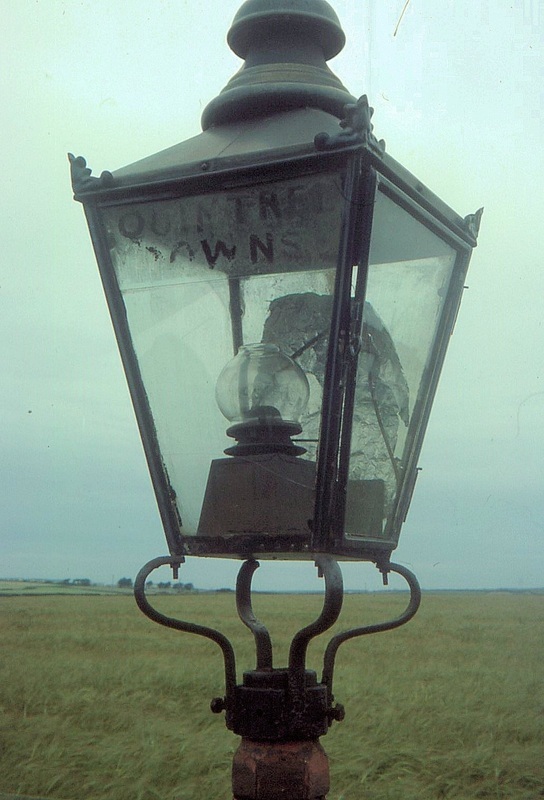 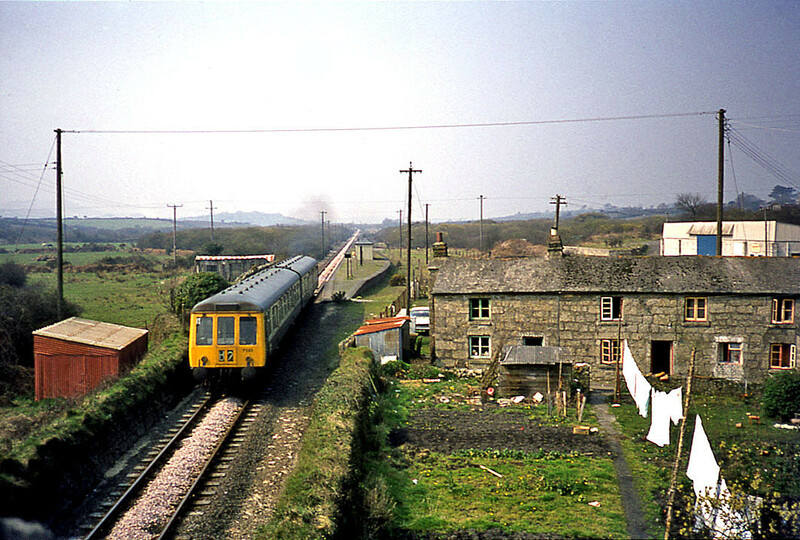 They say that every picture tells a story, here is one that certainly does. 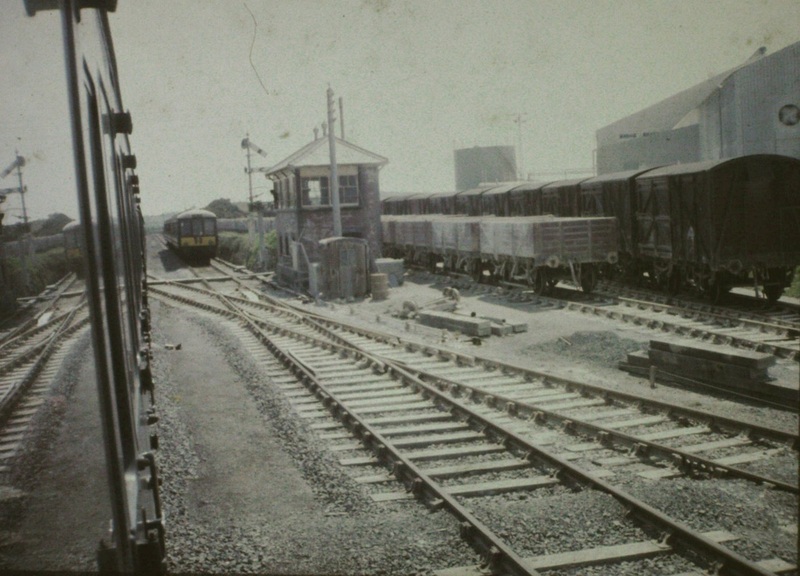 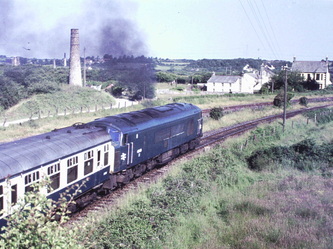 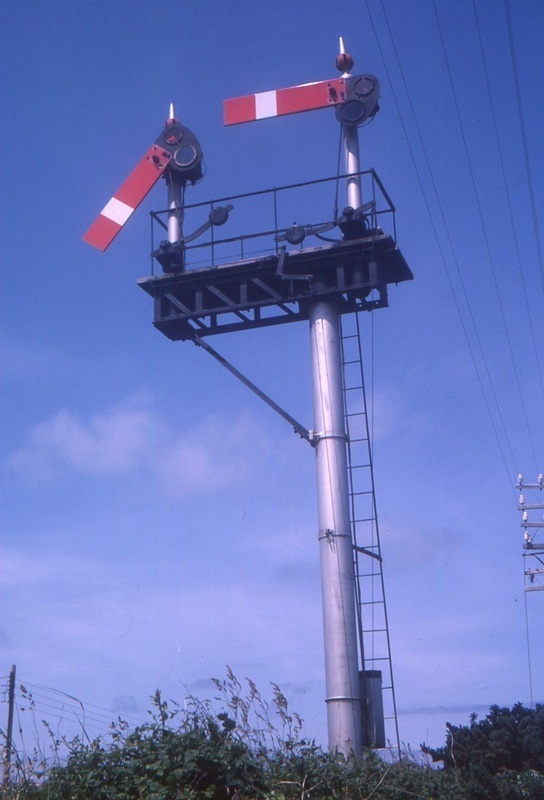 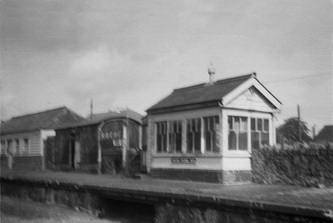 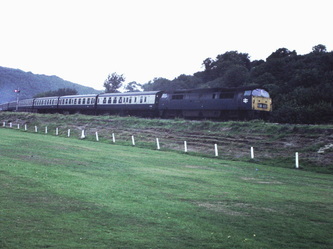 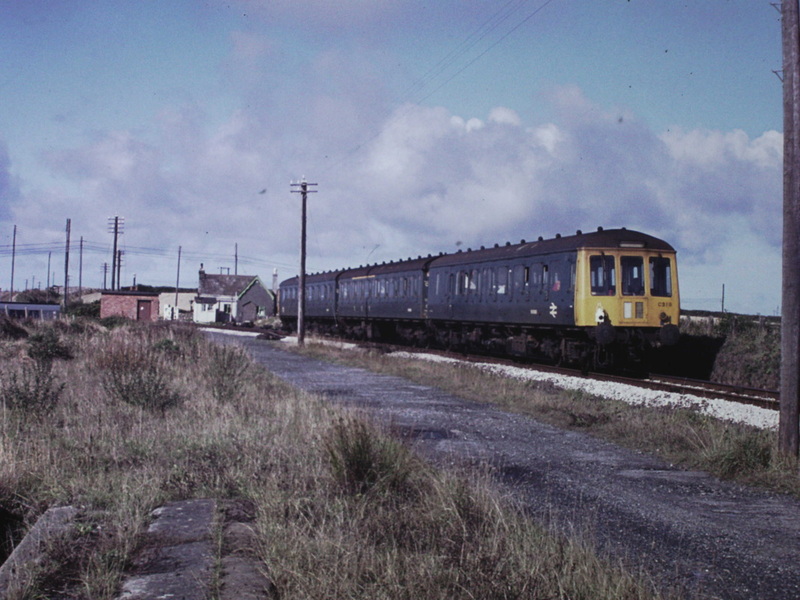 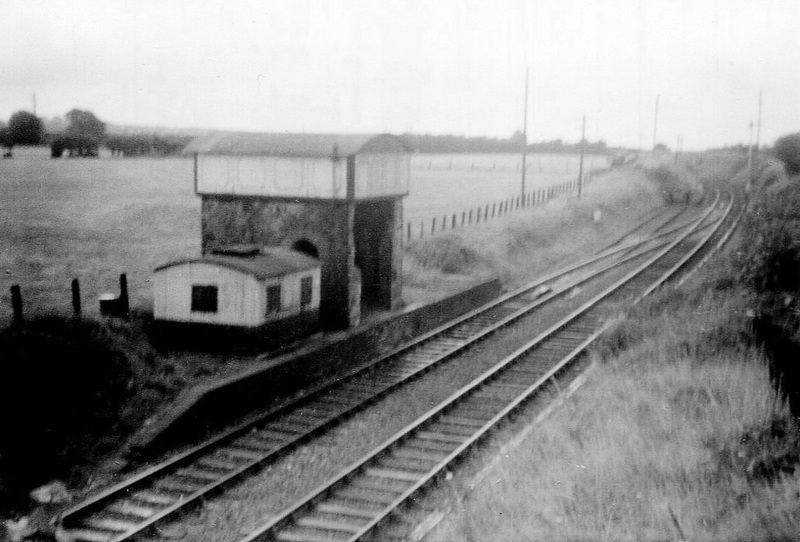 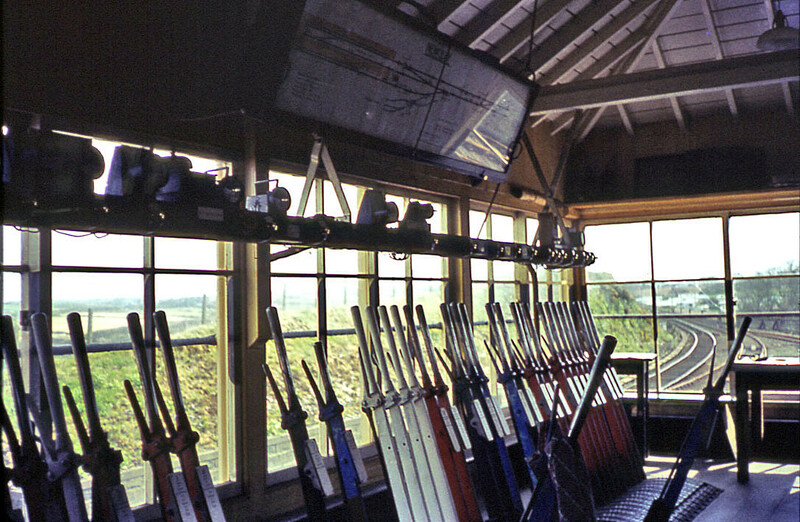 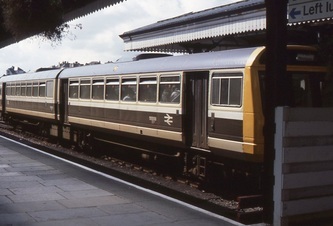 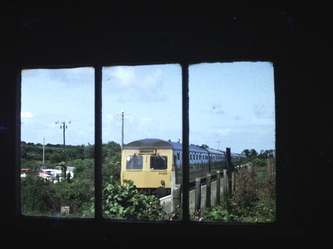 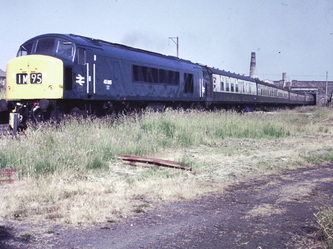 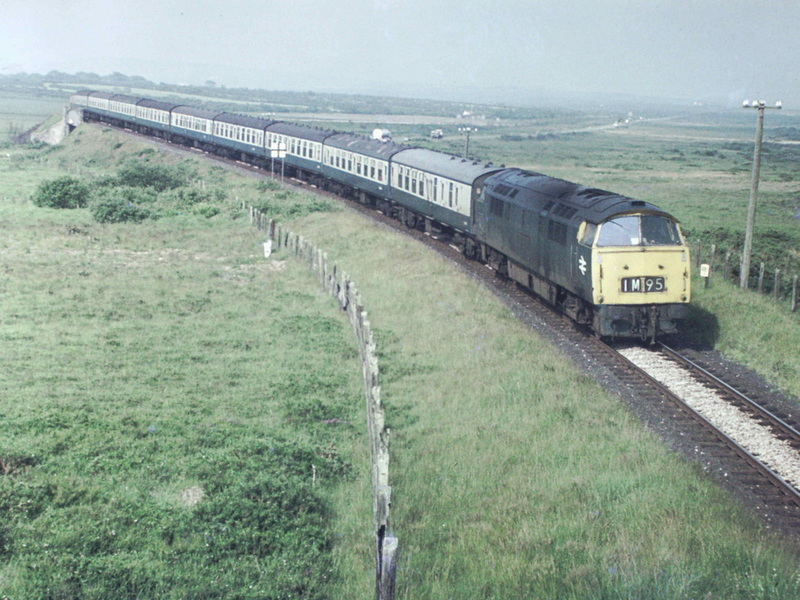 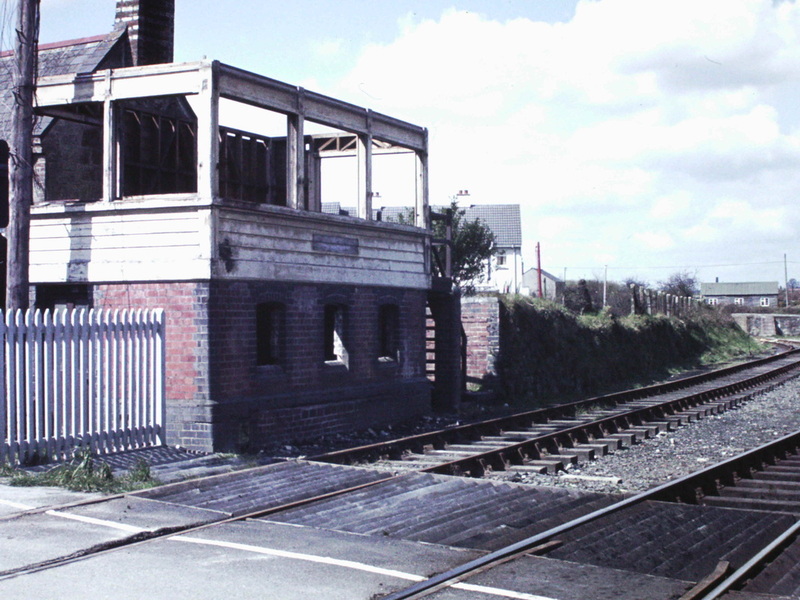 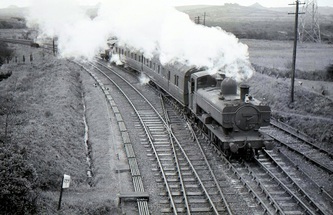 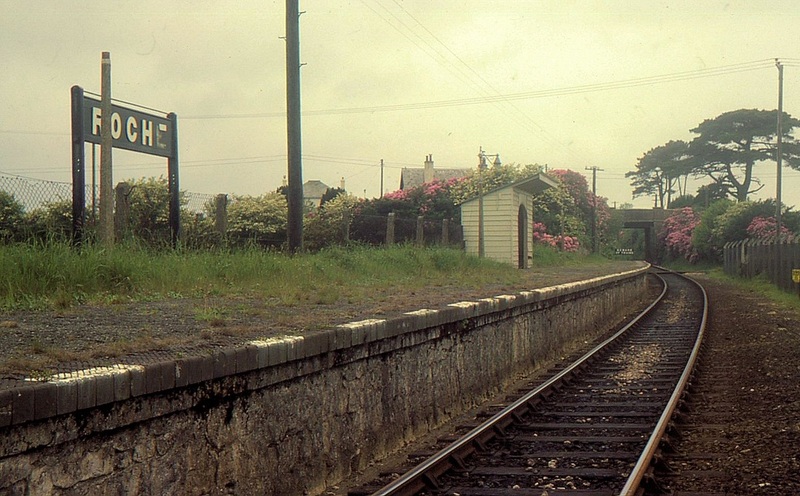 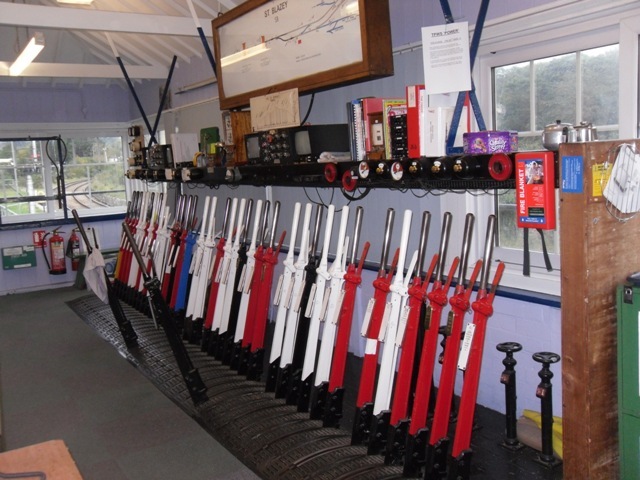 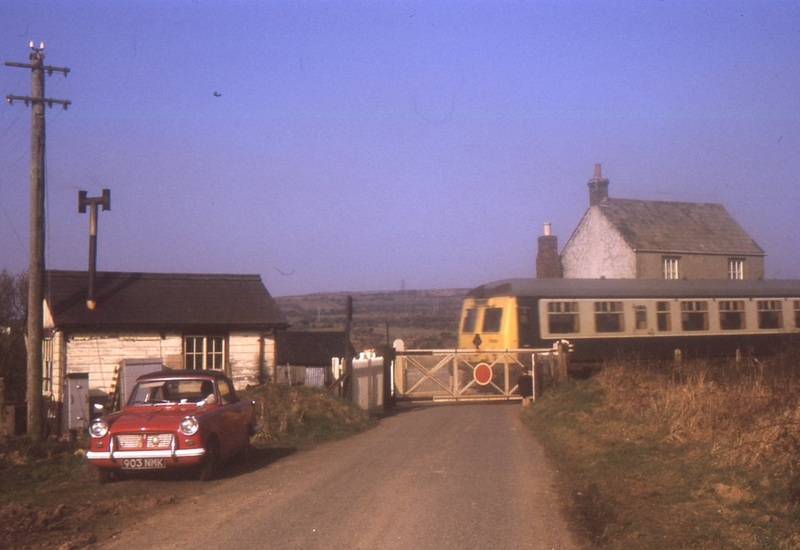 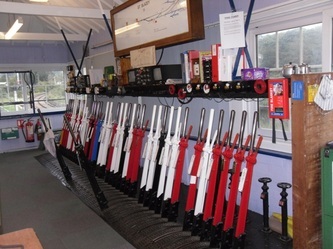 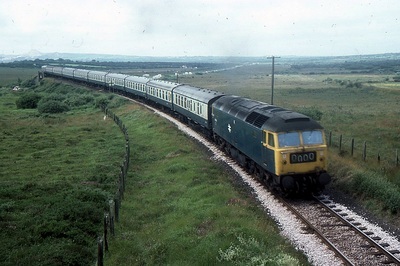 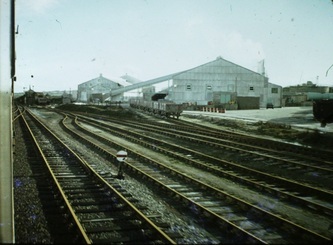 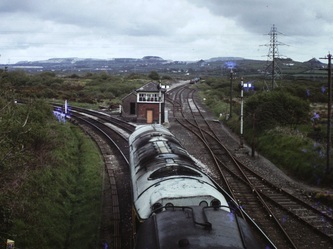 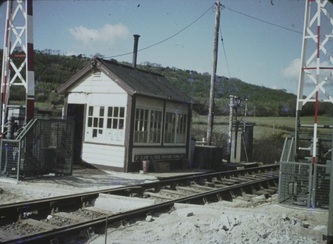 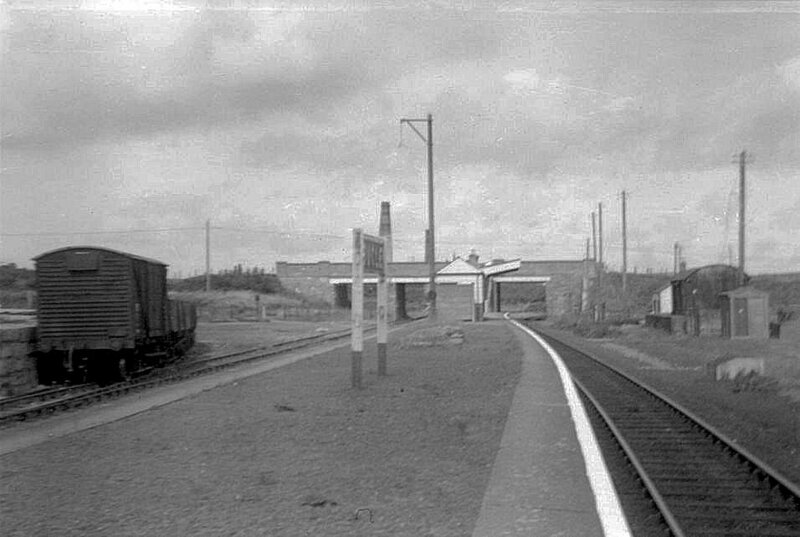 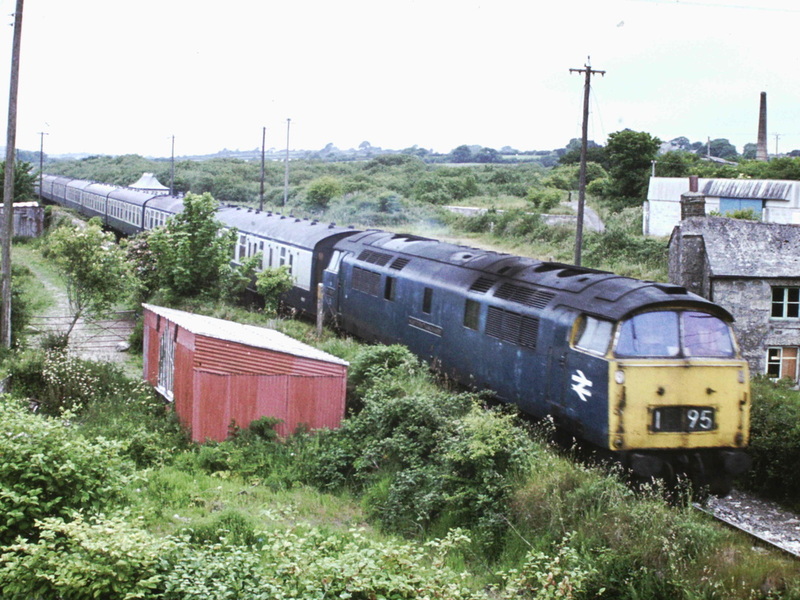 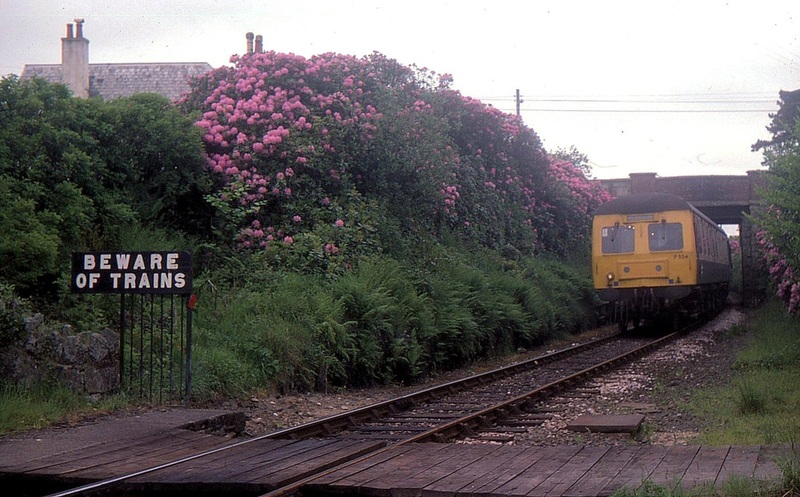 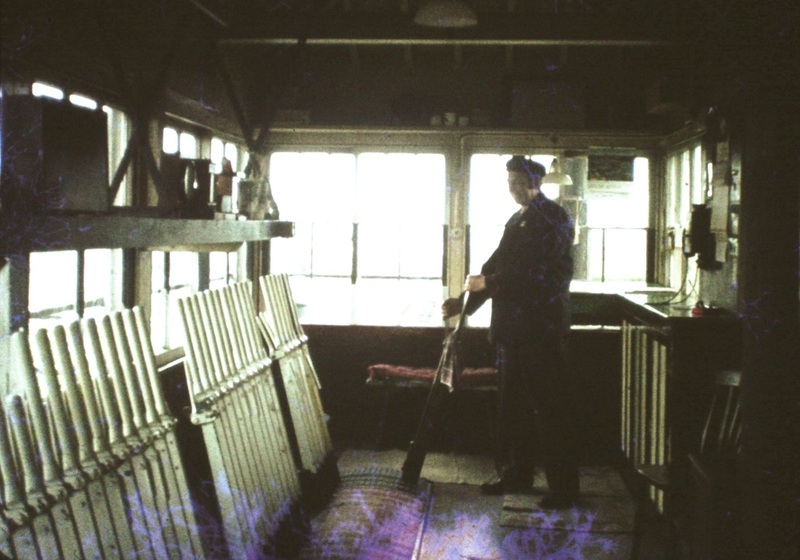 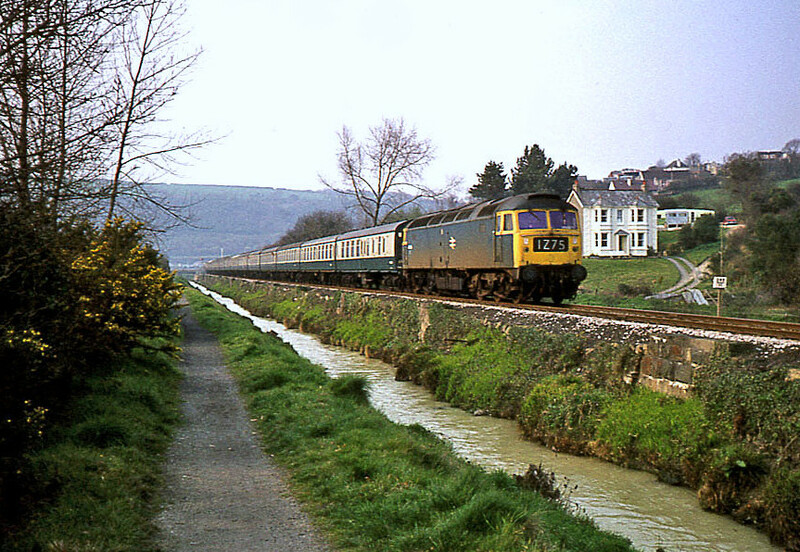 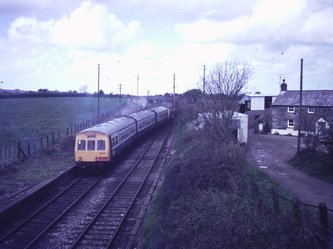 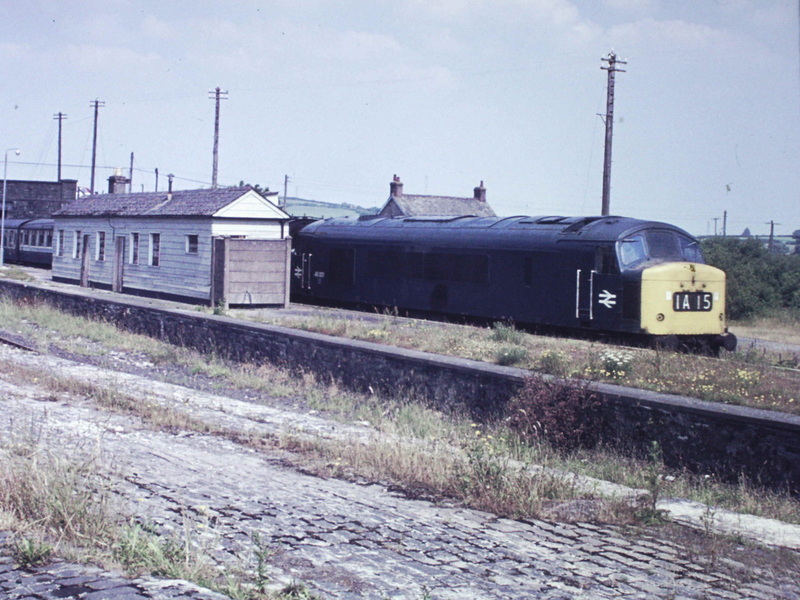 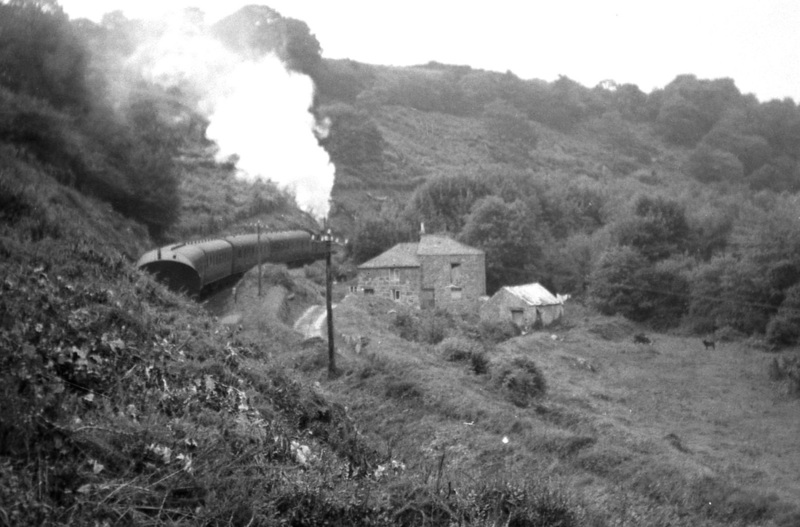 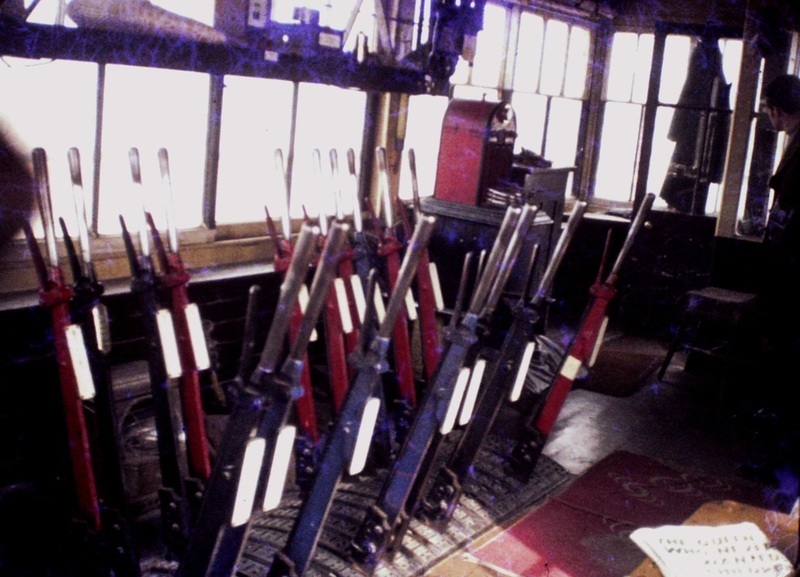 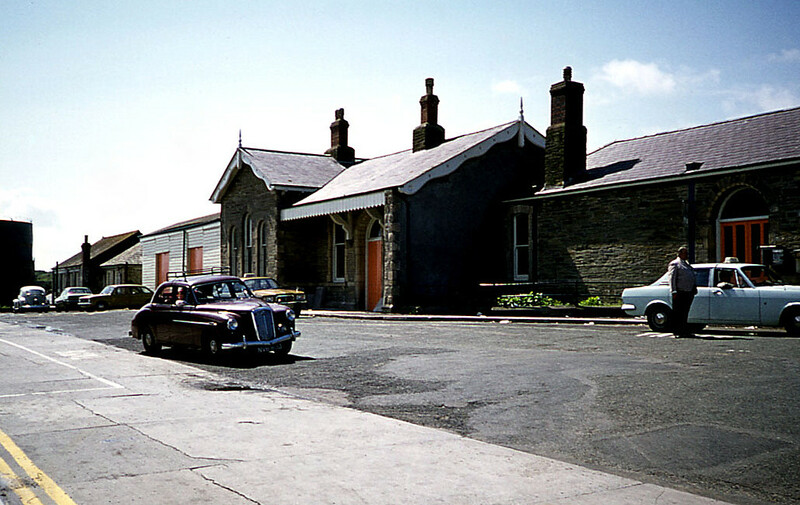 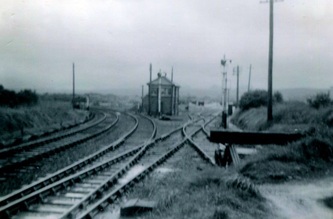 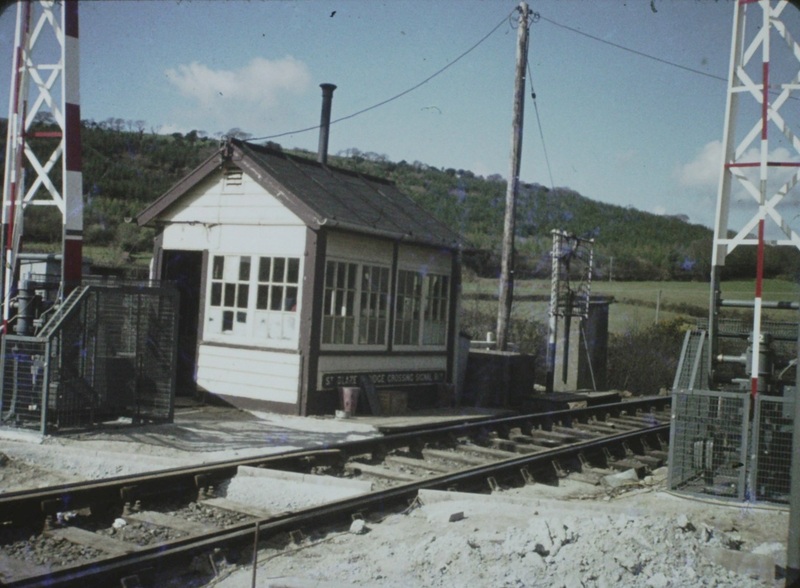 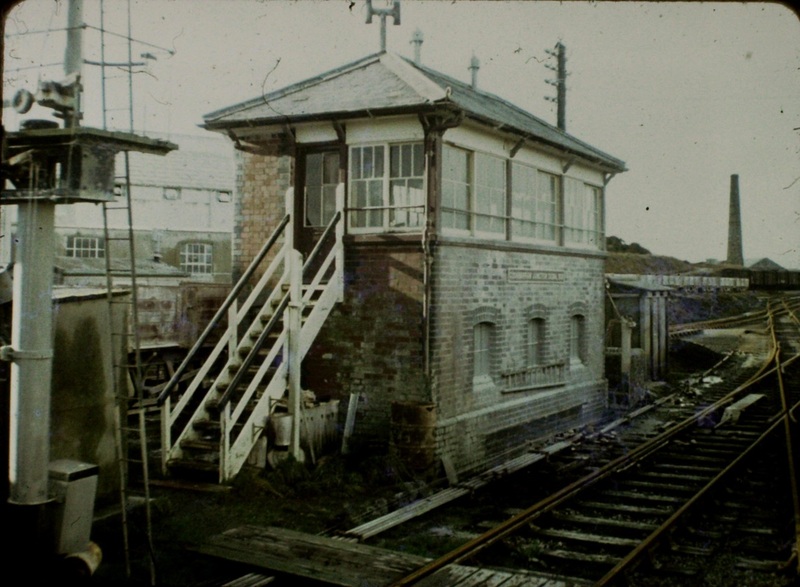 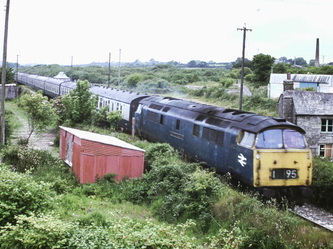 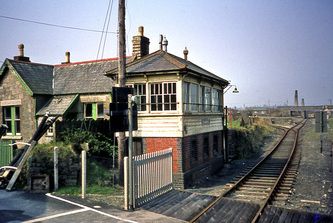 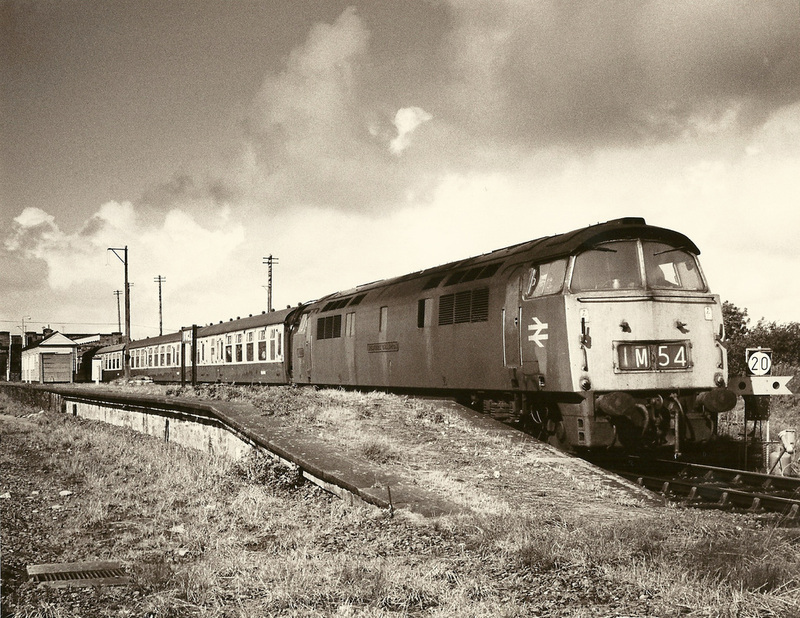 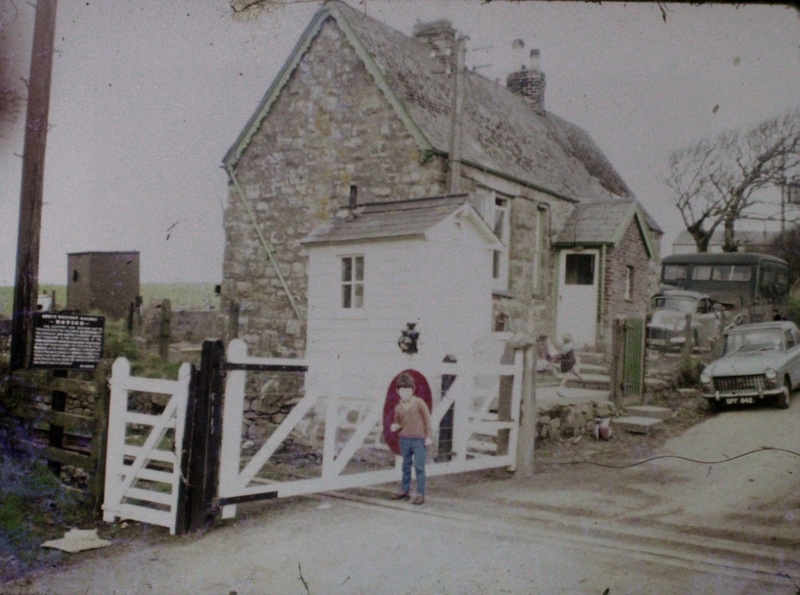 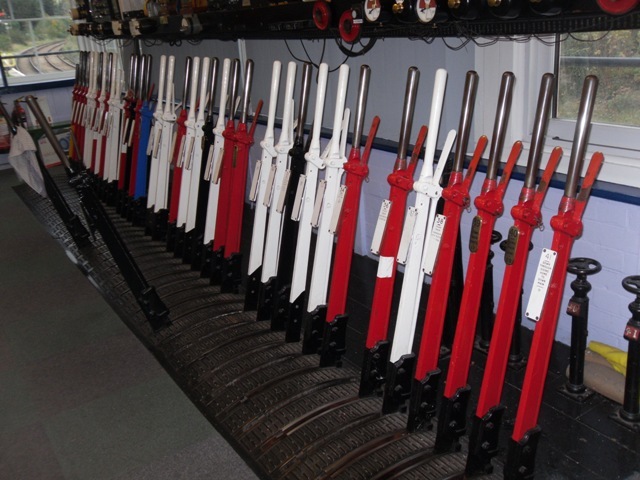 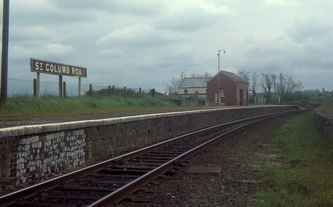 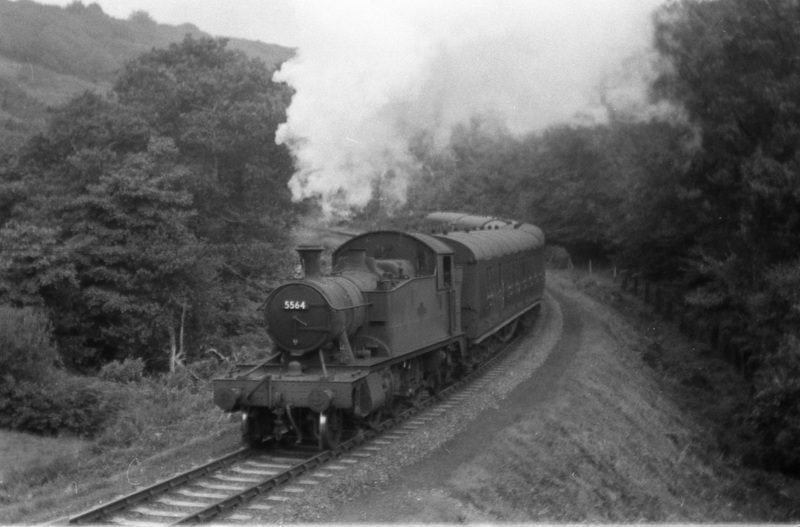 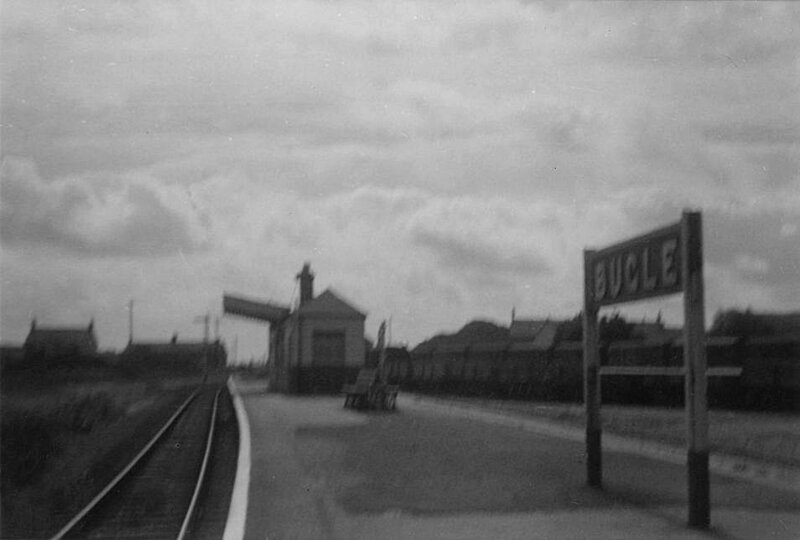 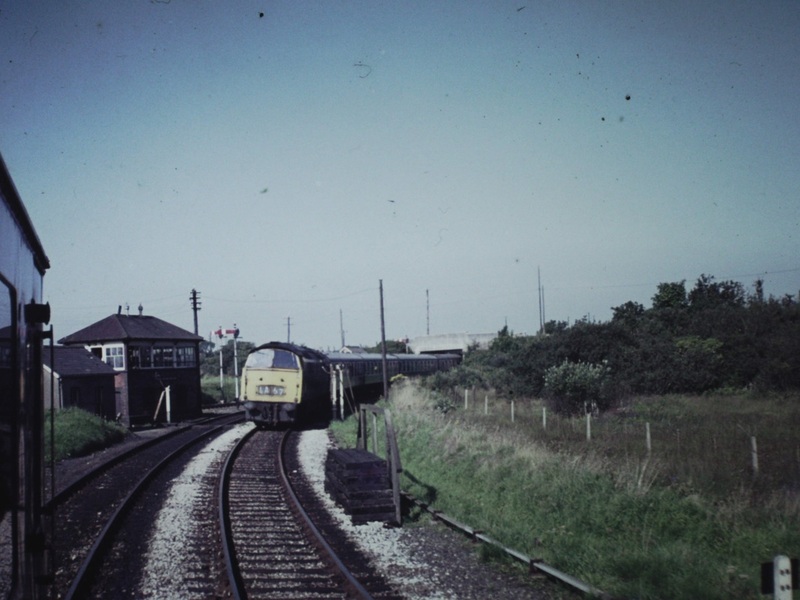 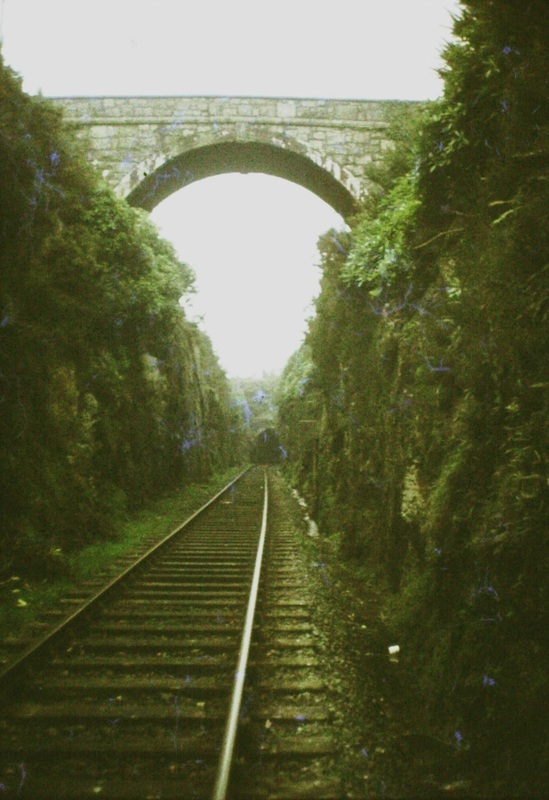 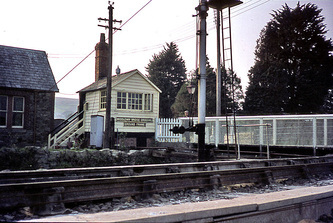 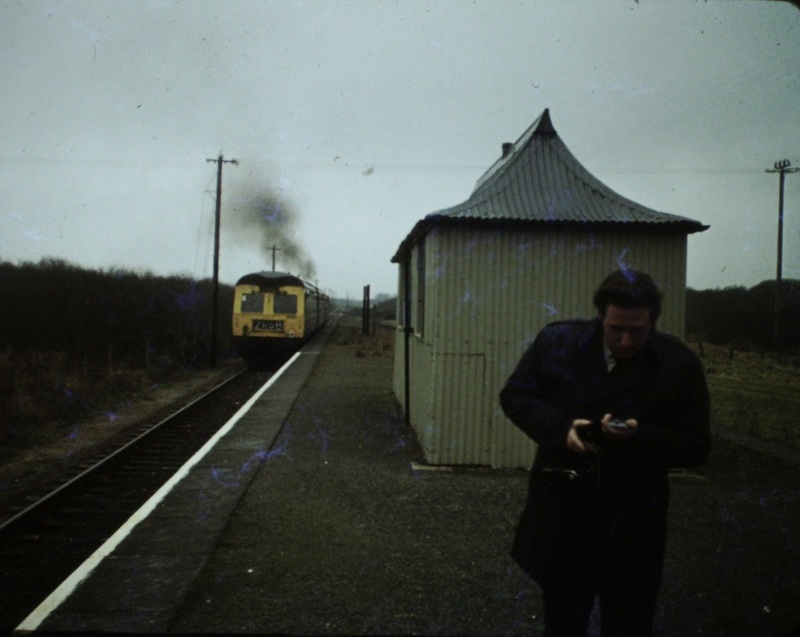 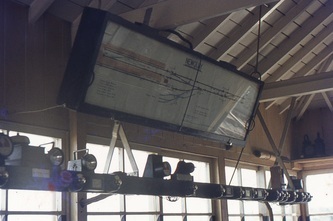 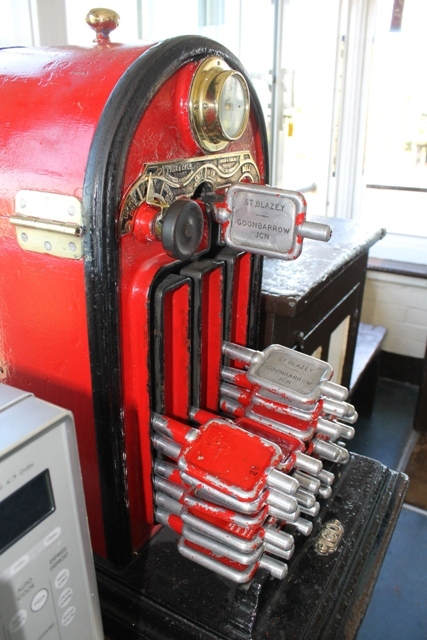 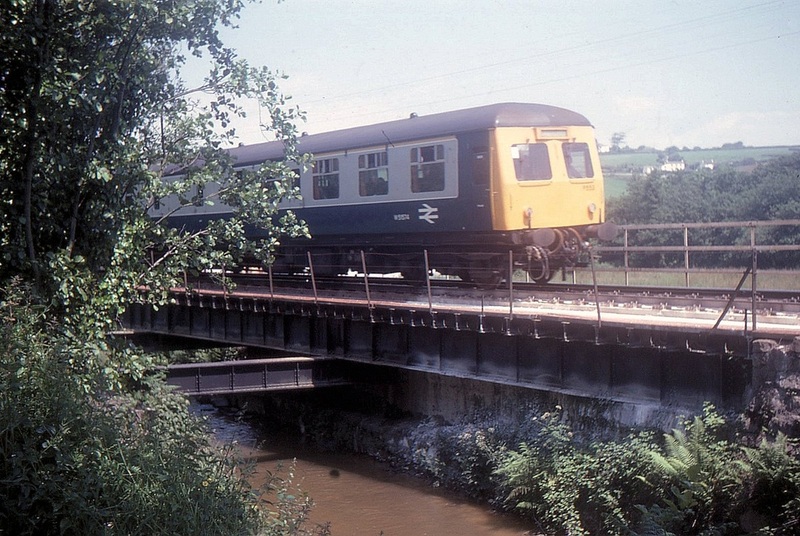 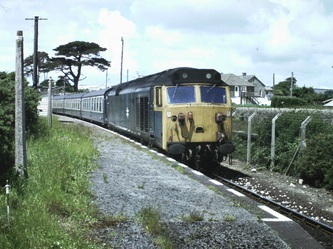 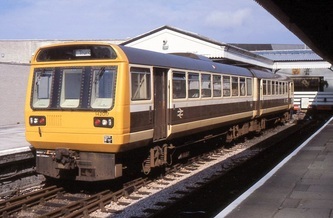 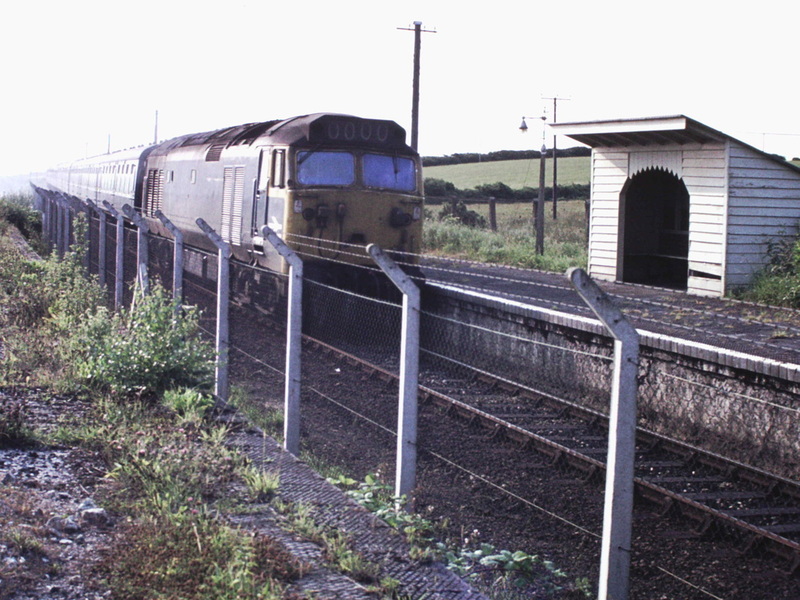 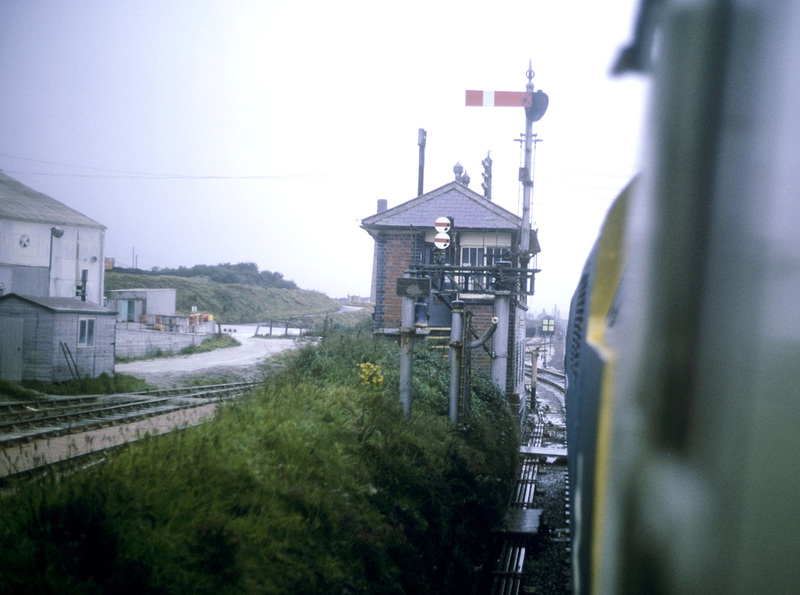 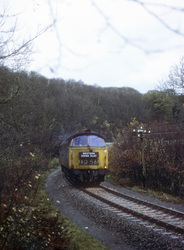 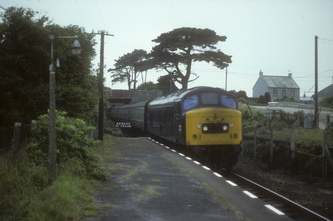 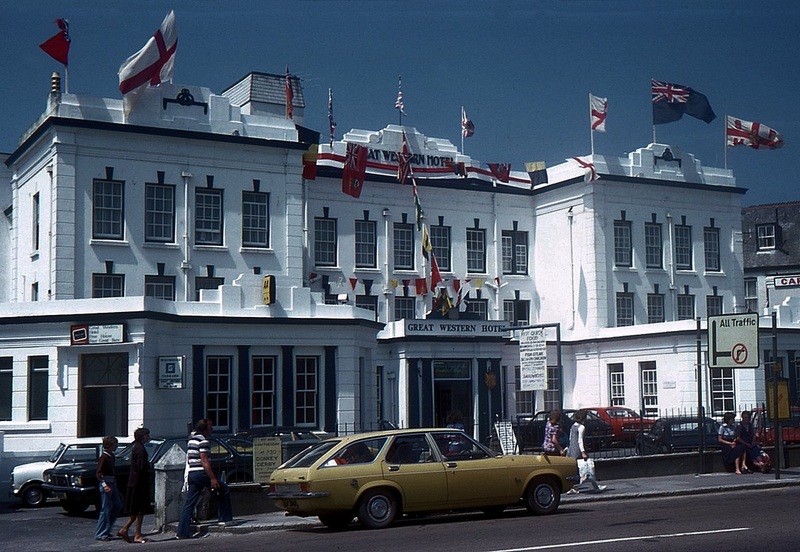 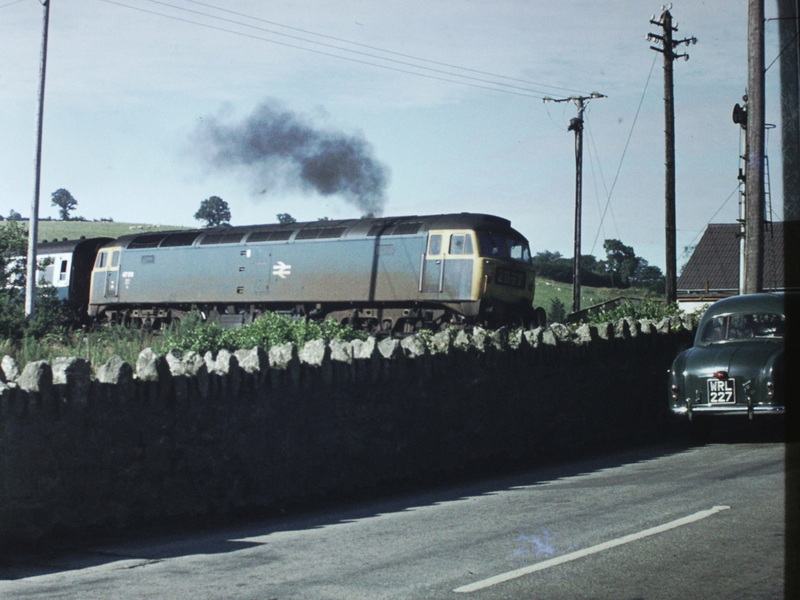 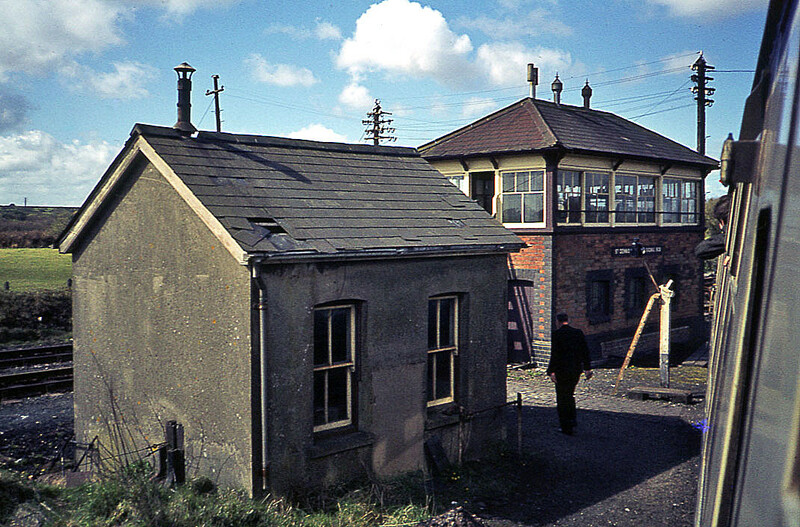 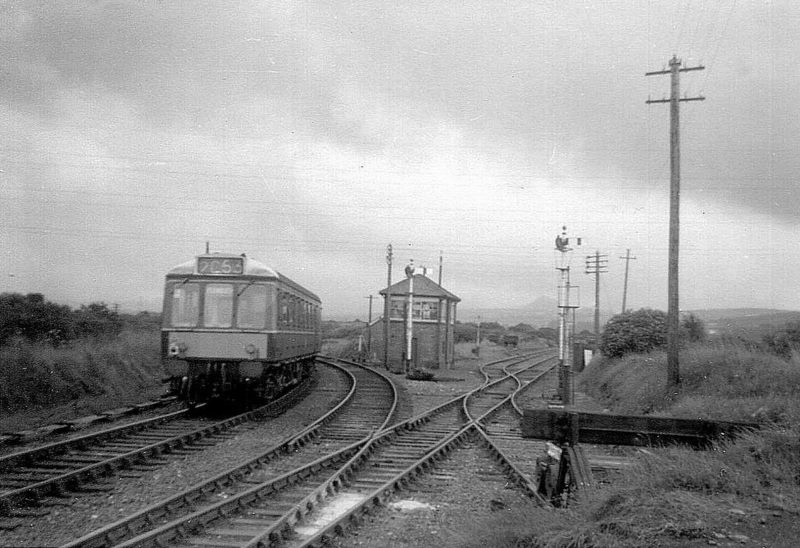 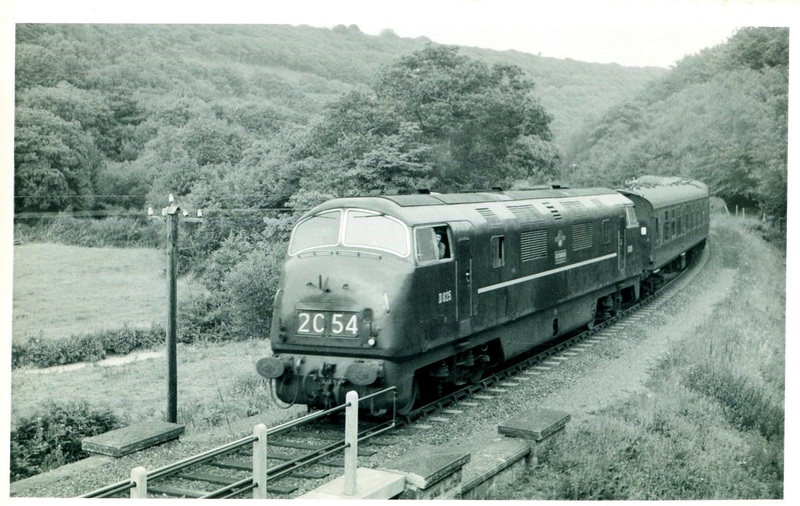 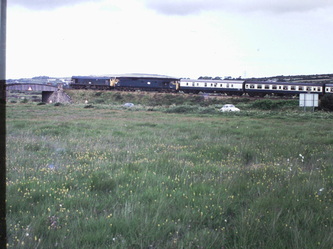 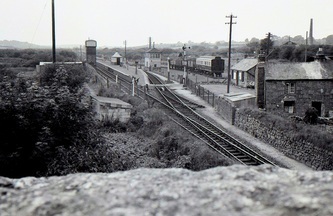 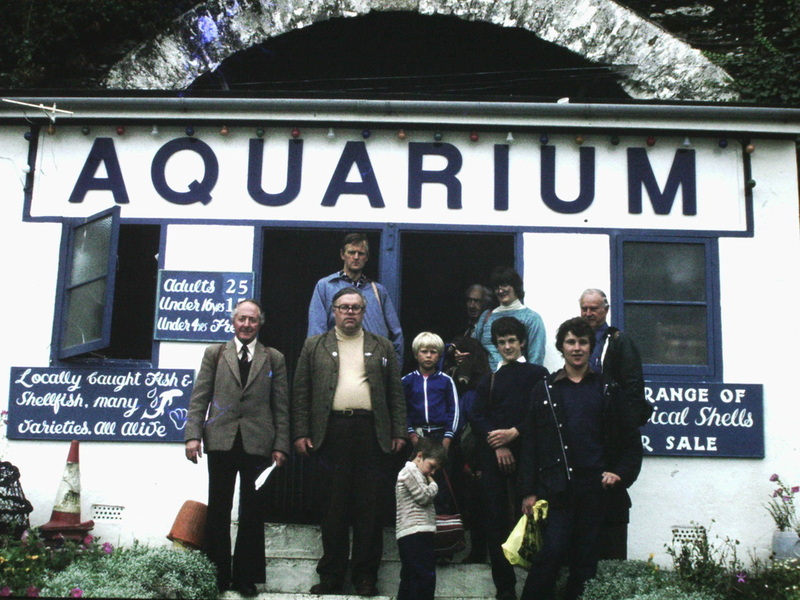 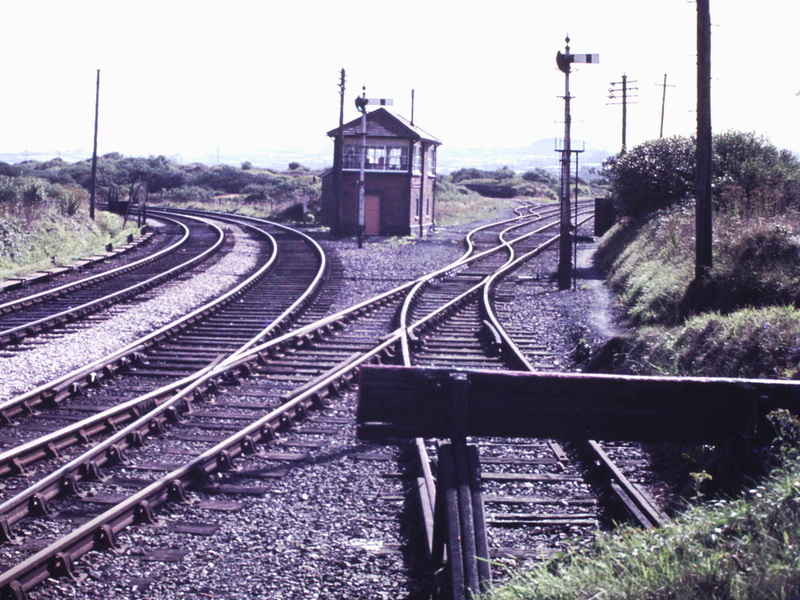 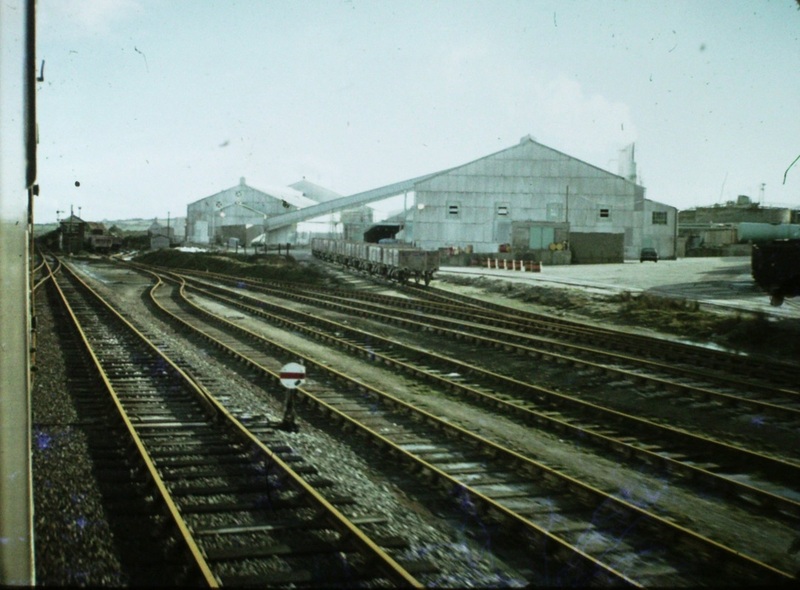 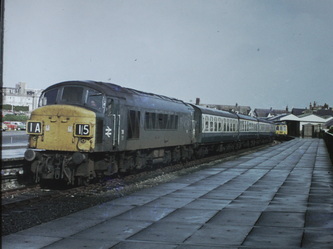 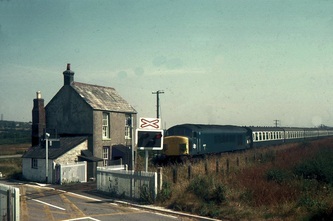 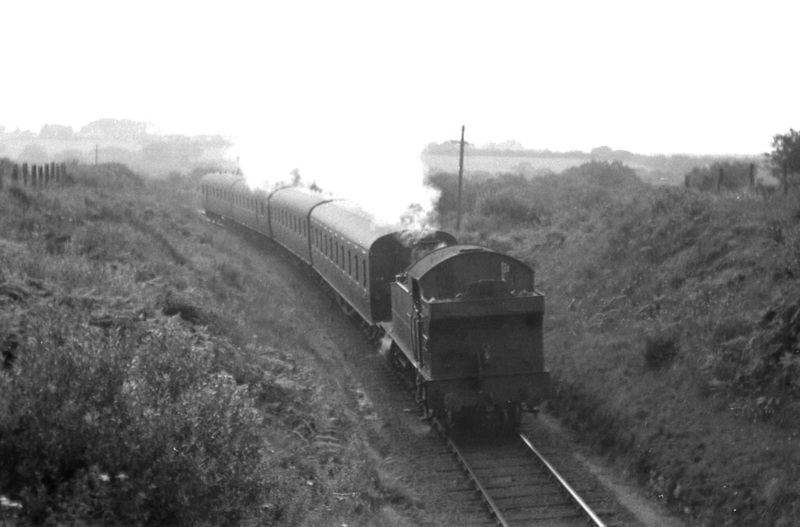 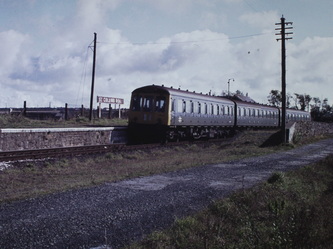 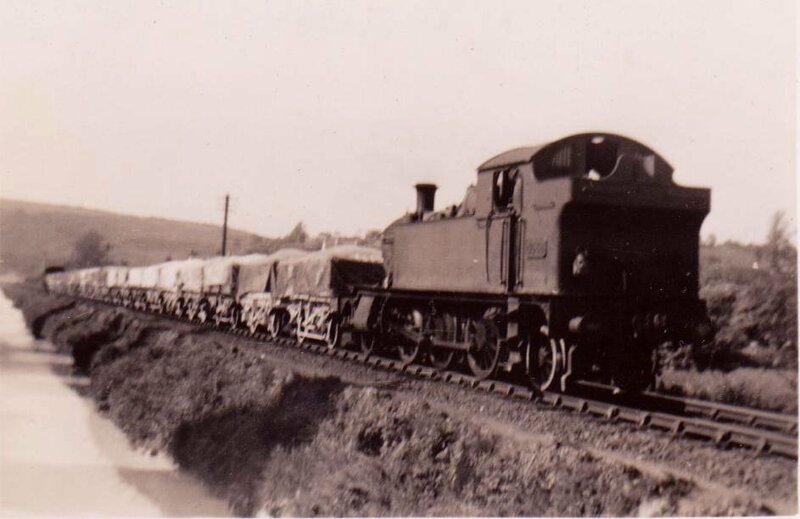 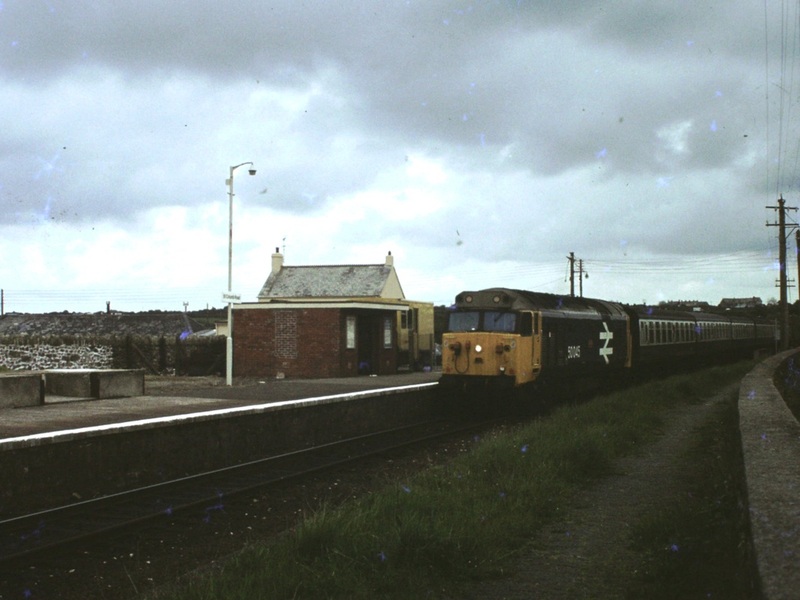 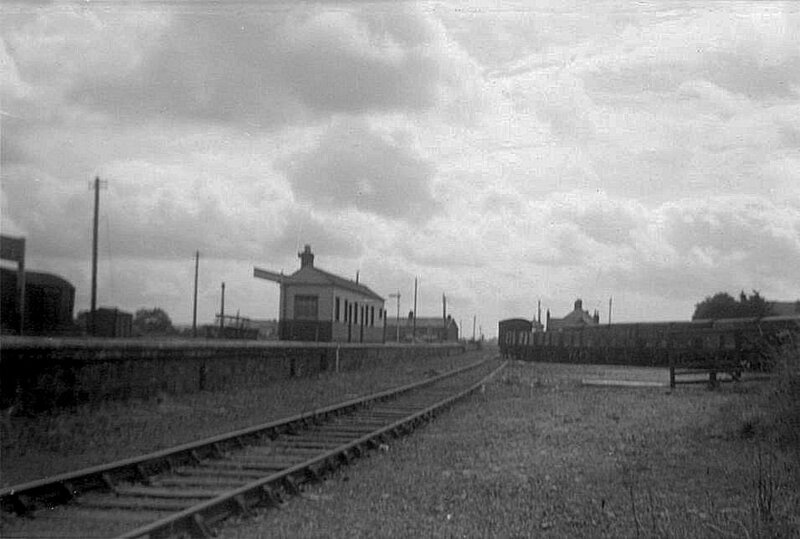 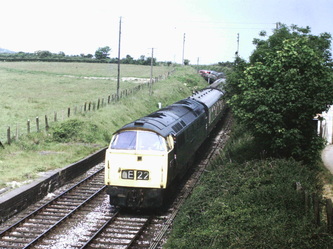 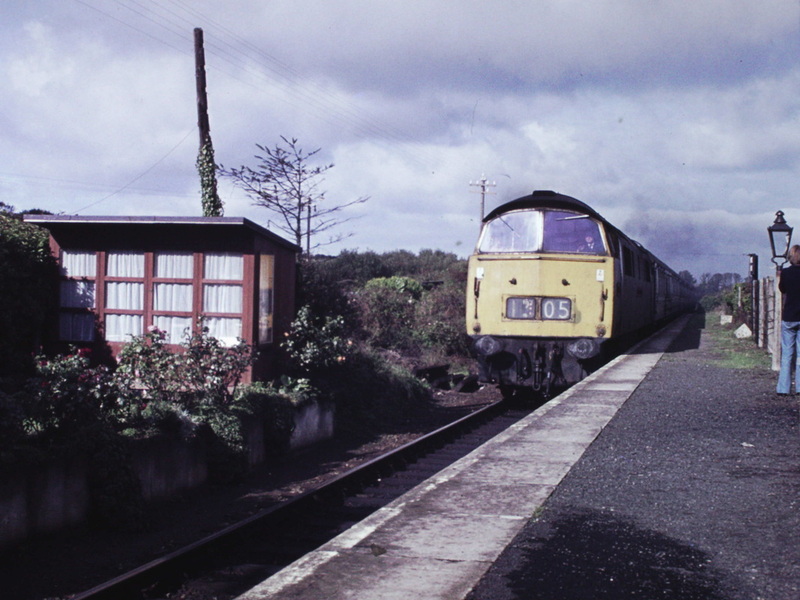 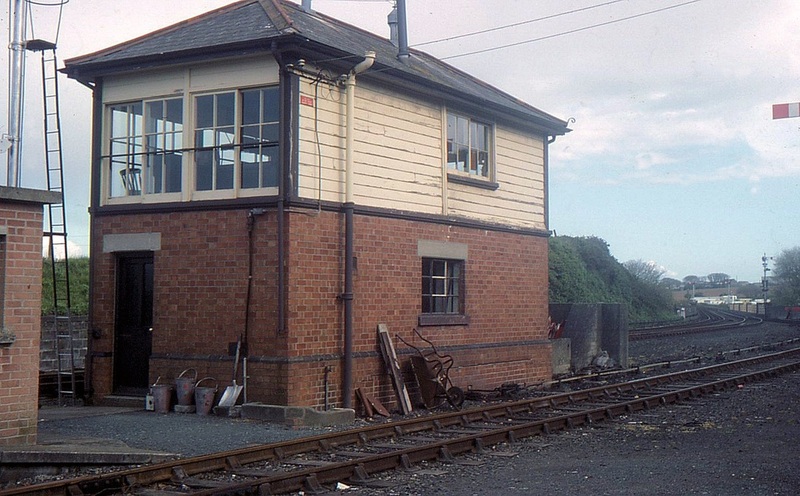 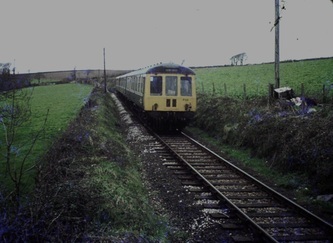 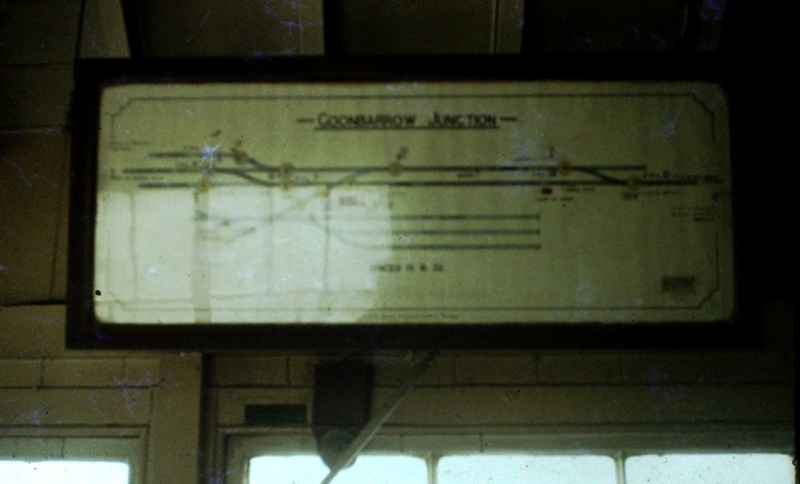 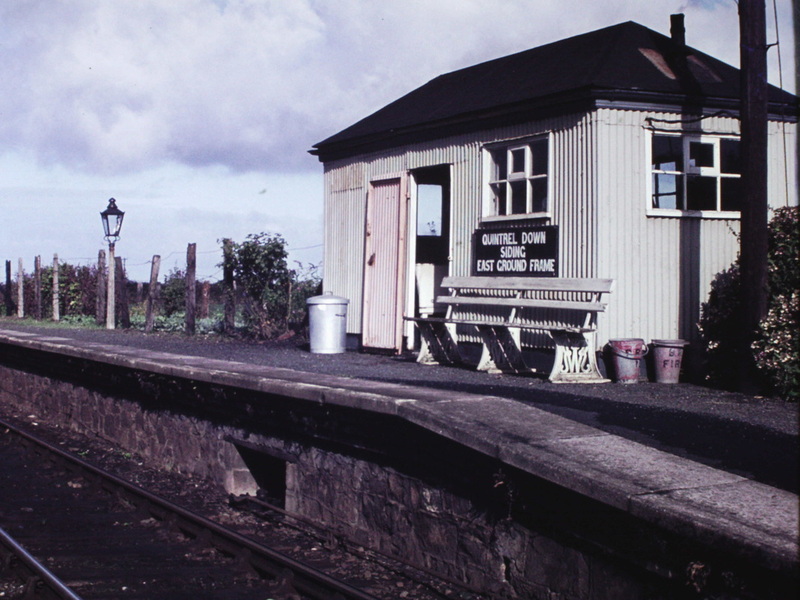 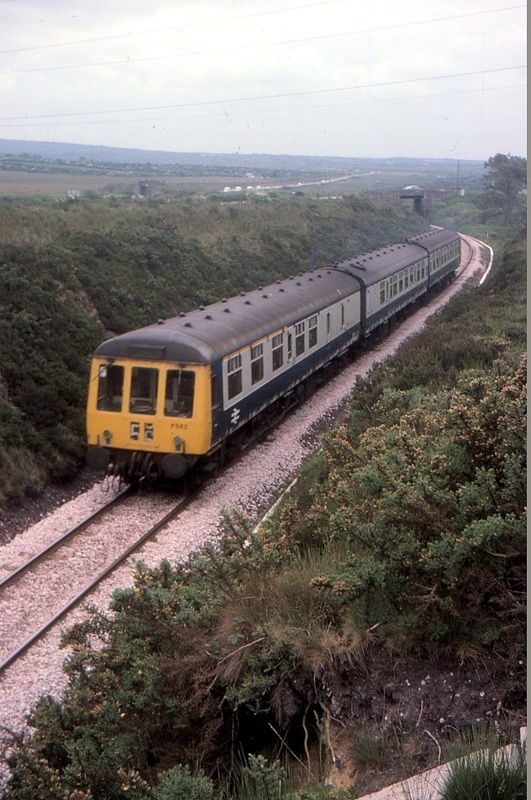 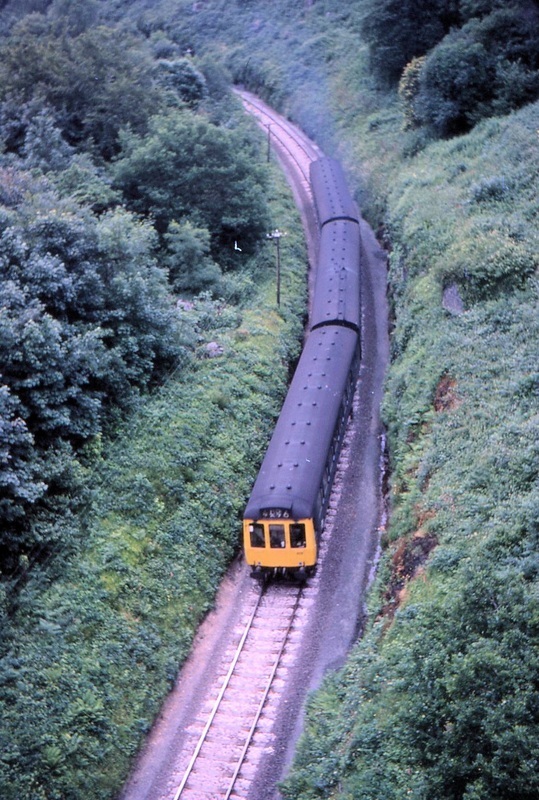 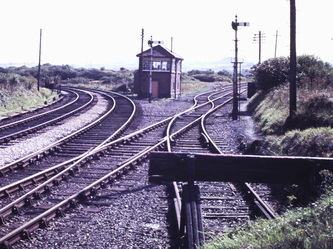 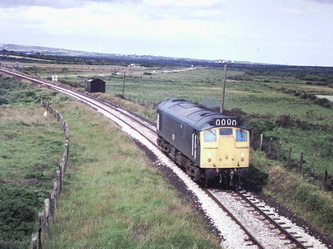 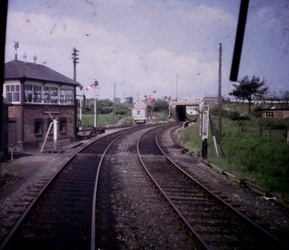 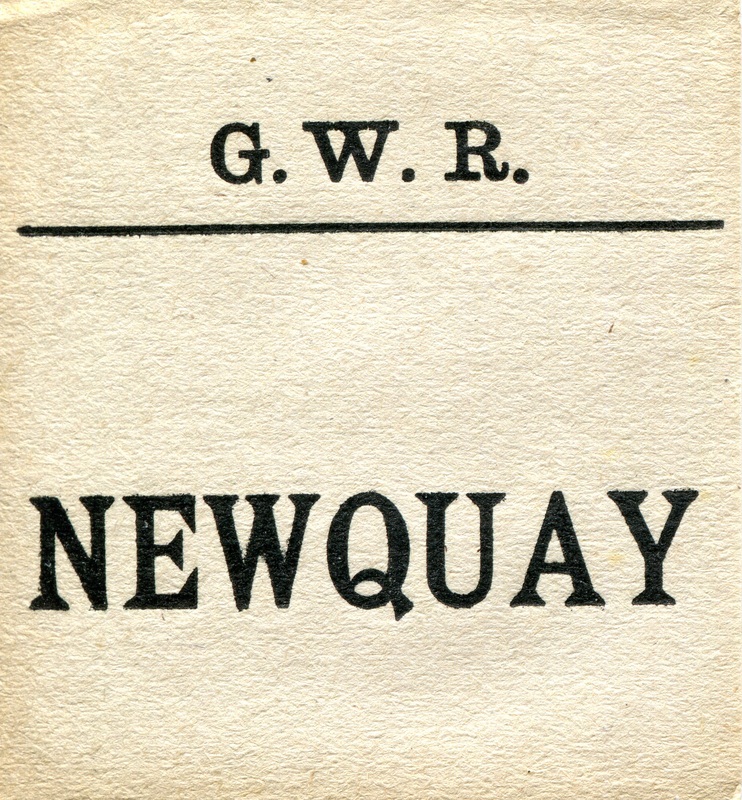 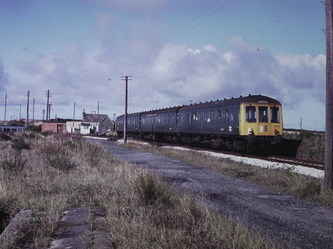 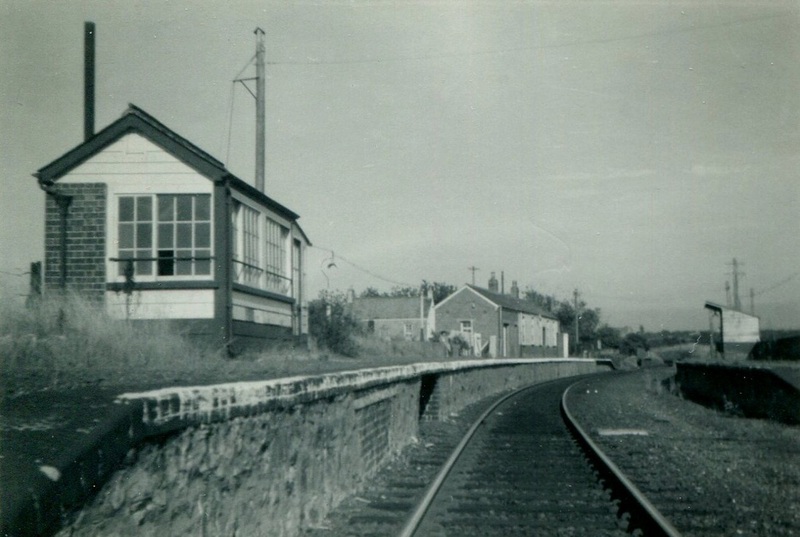 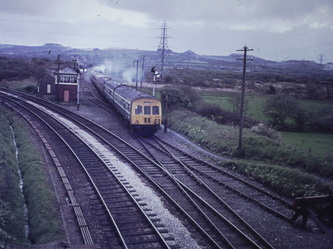 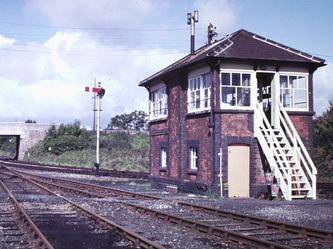 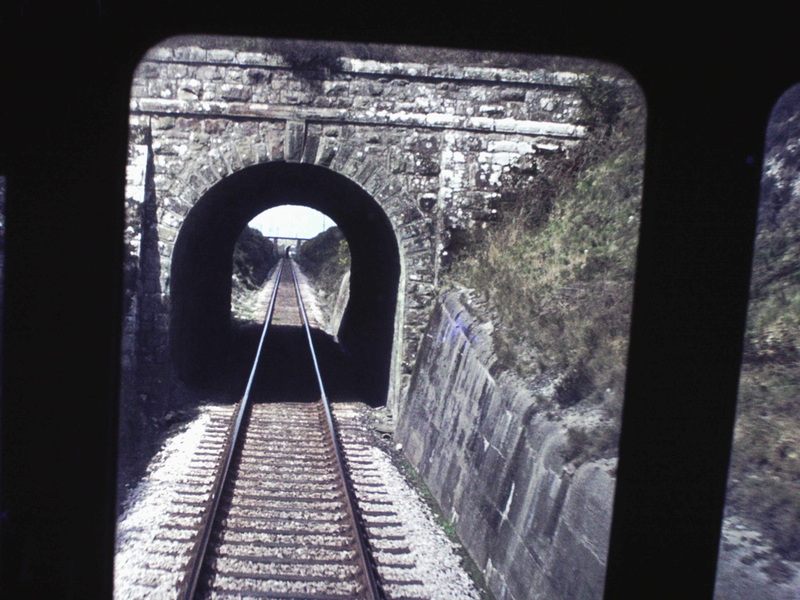 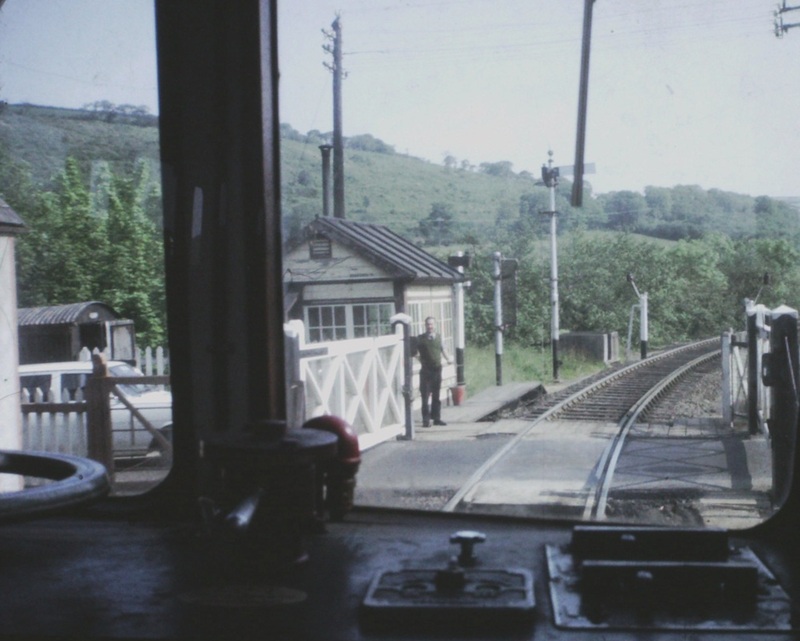 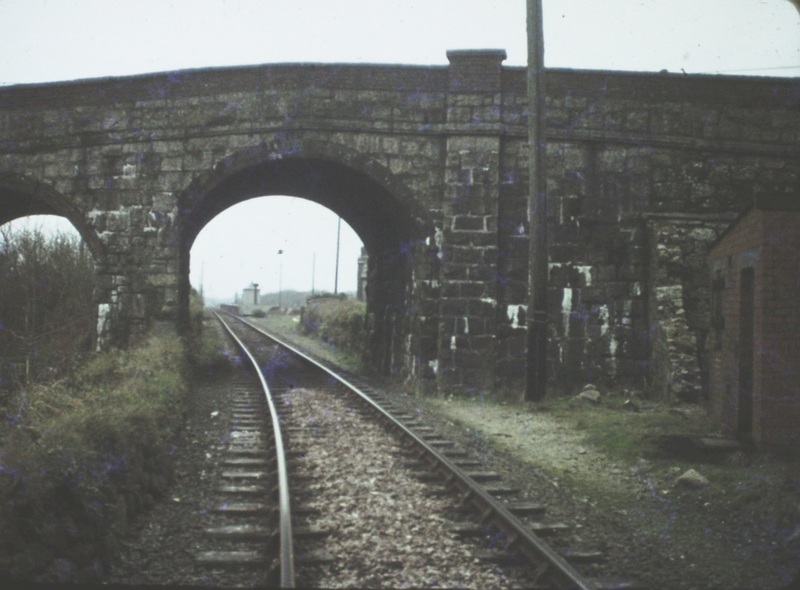 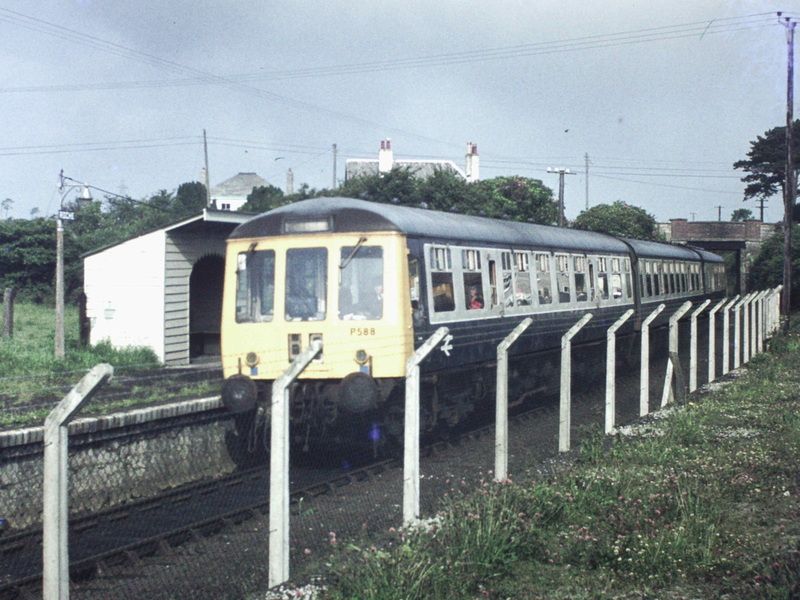 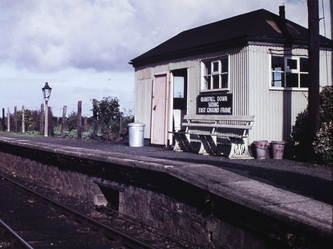 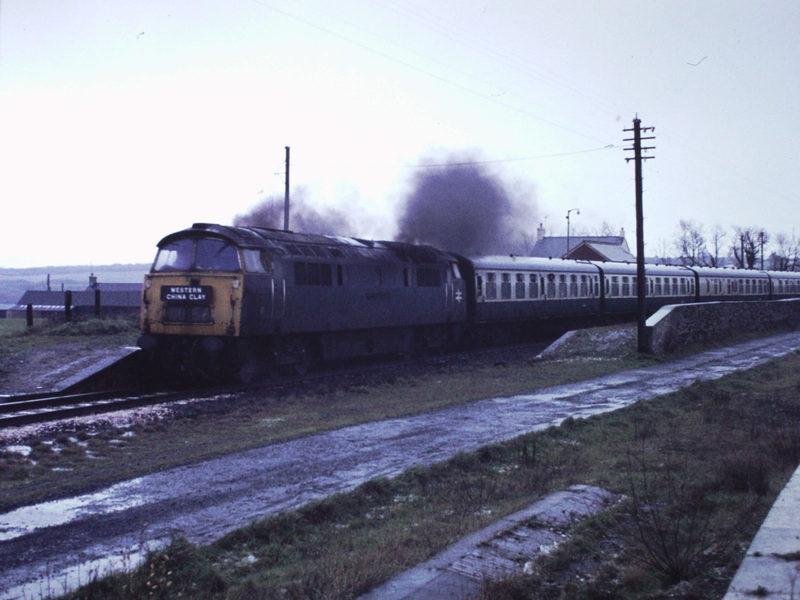 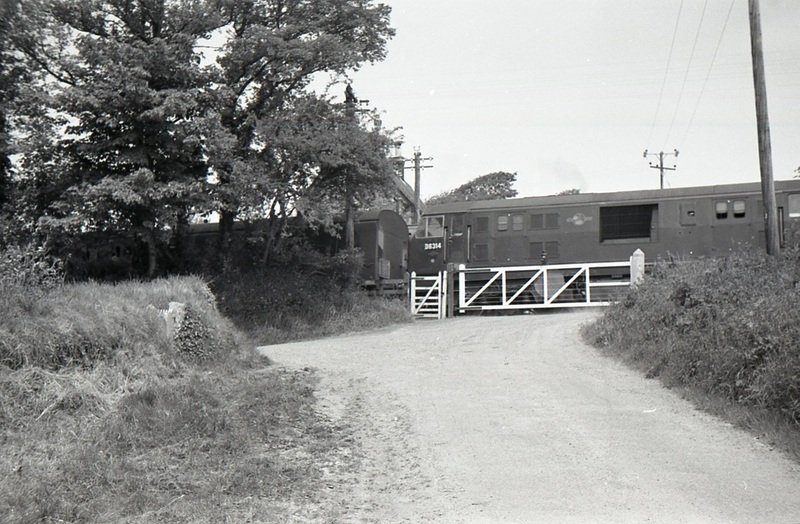 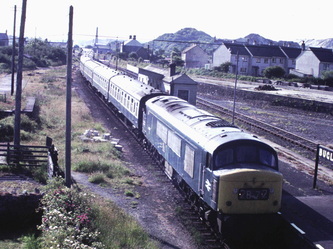 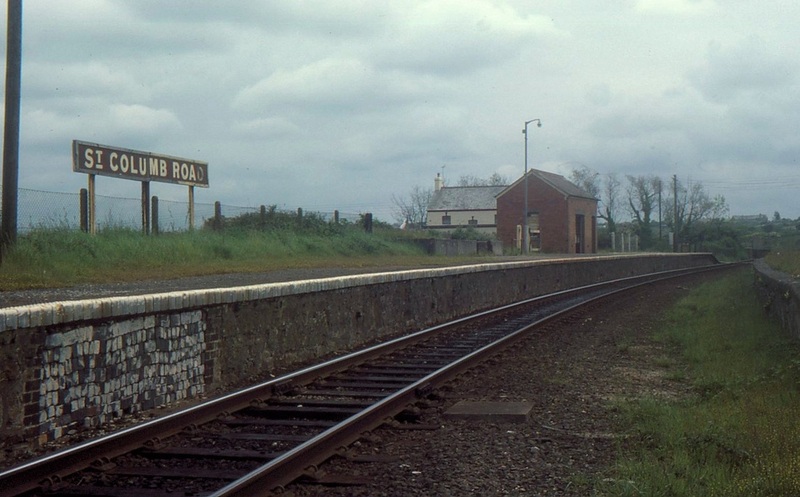 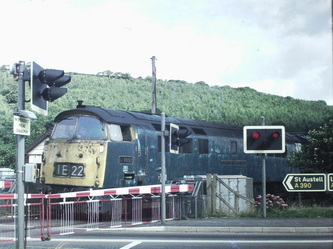 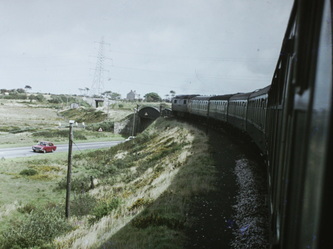 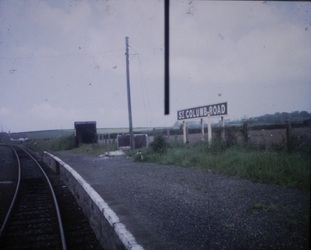 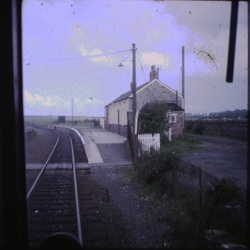 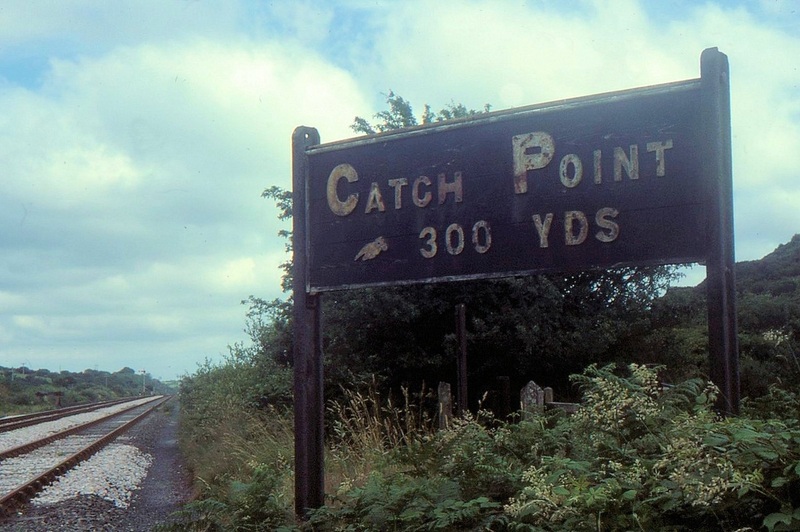 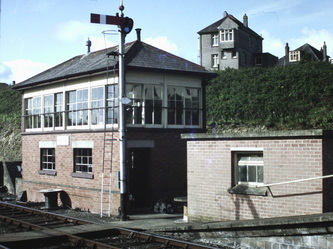 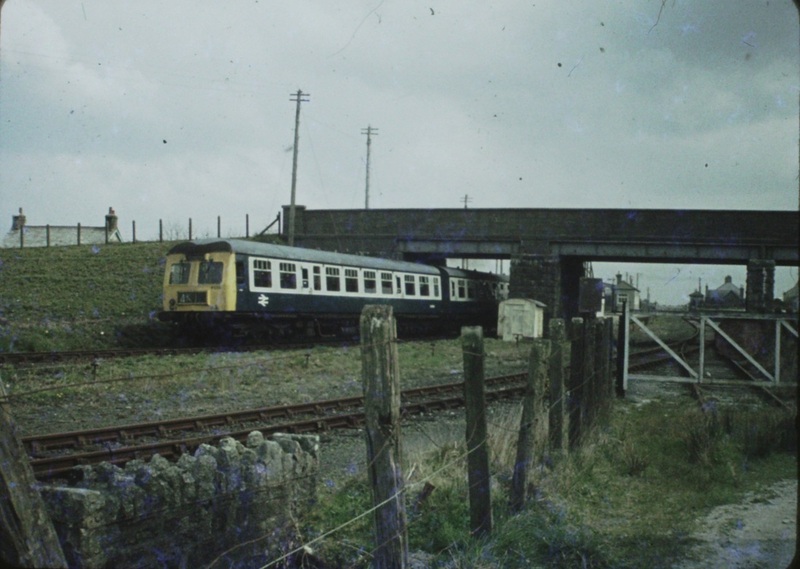 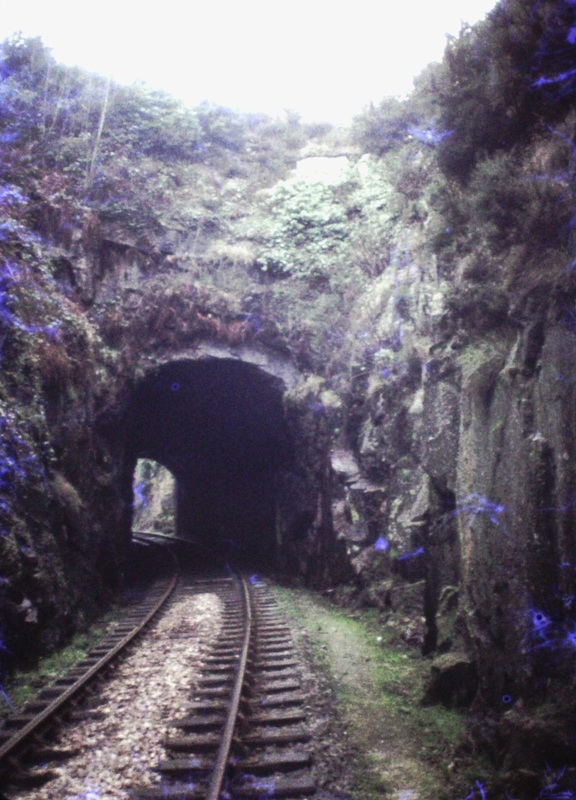 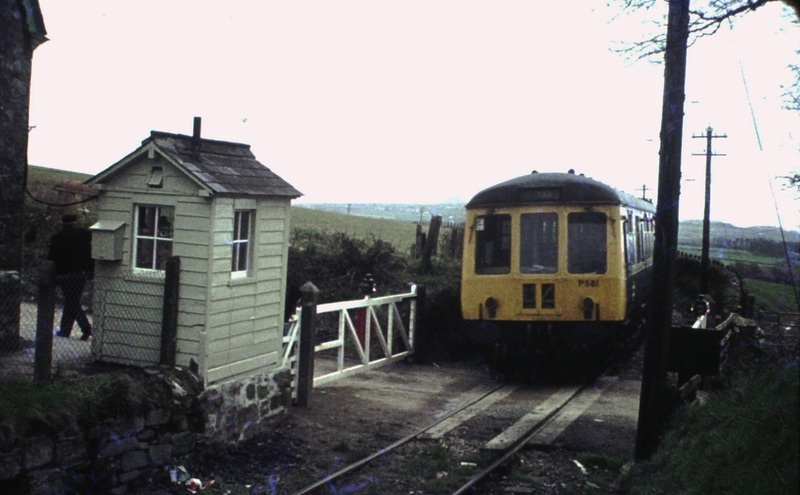 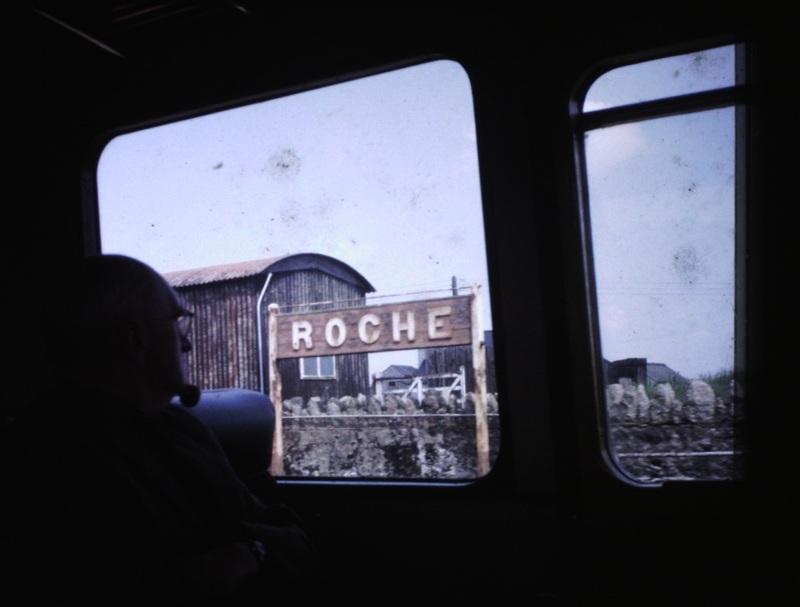 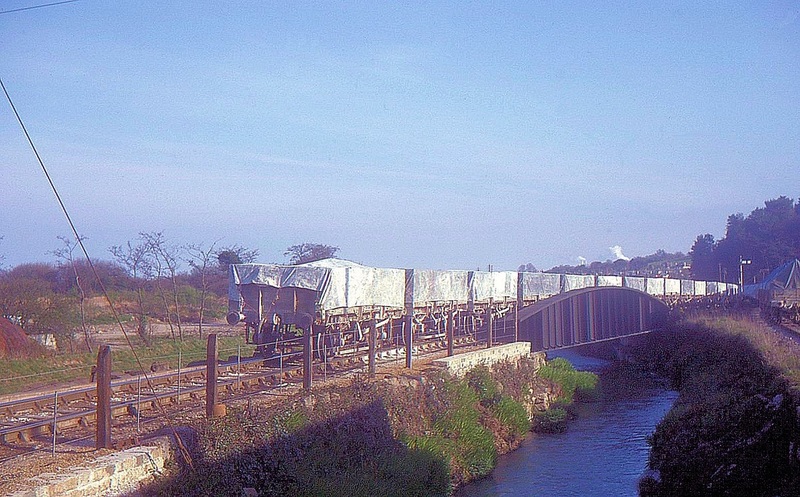 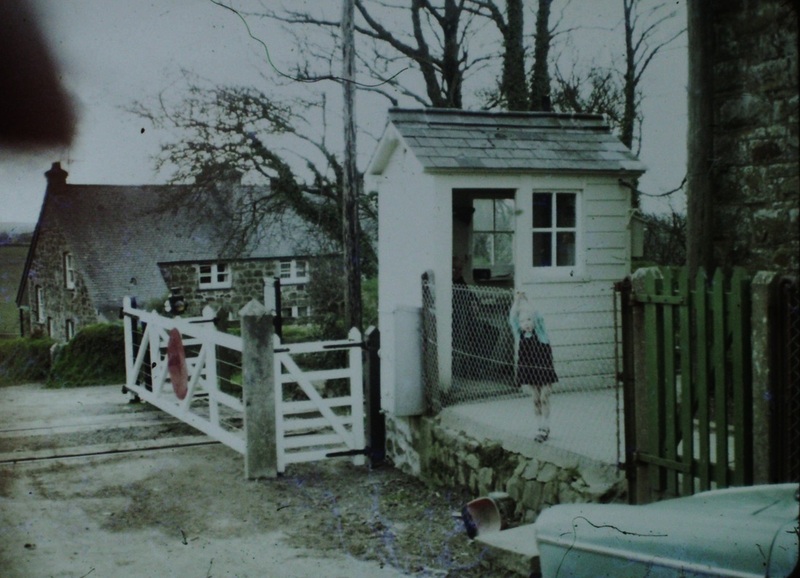 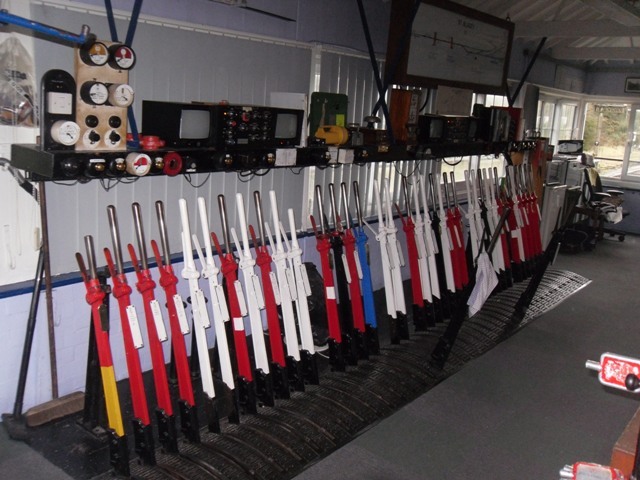 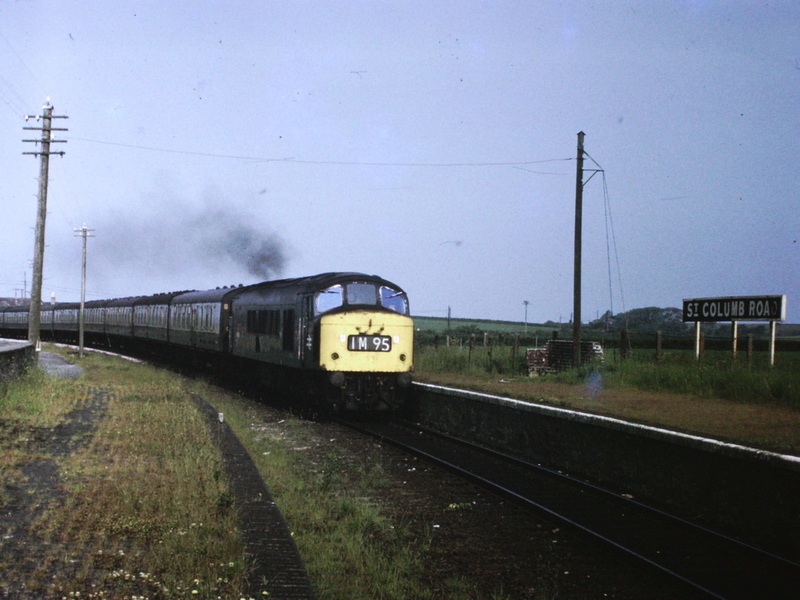 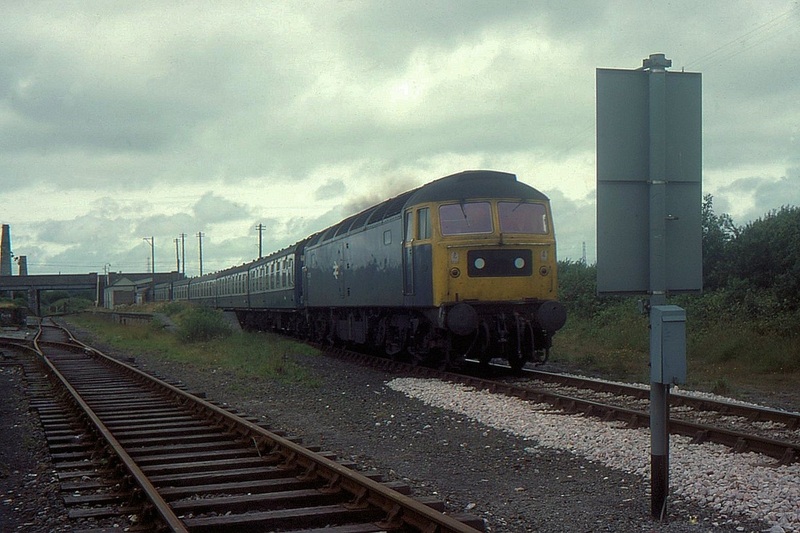 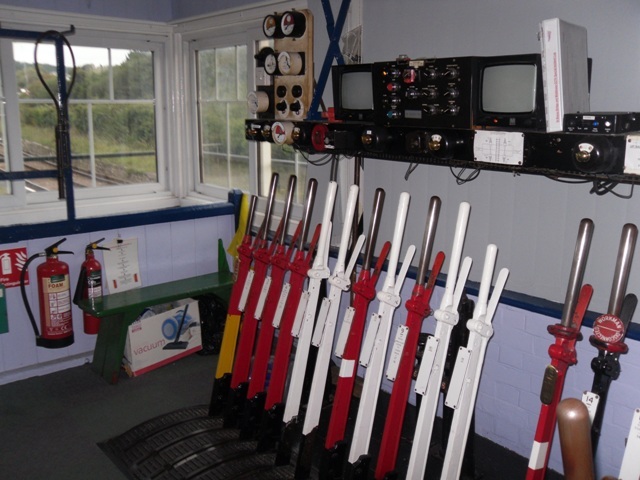 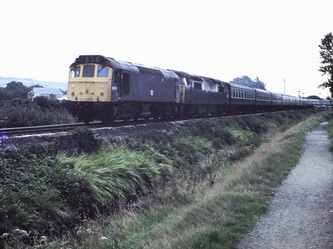 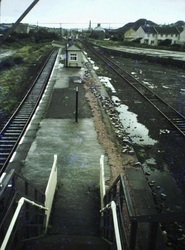 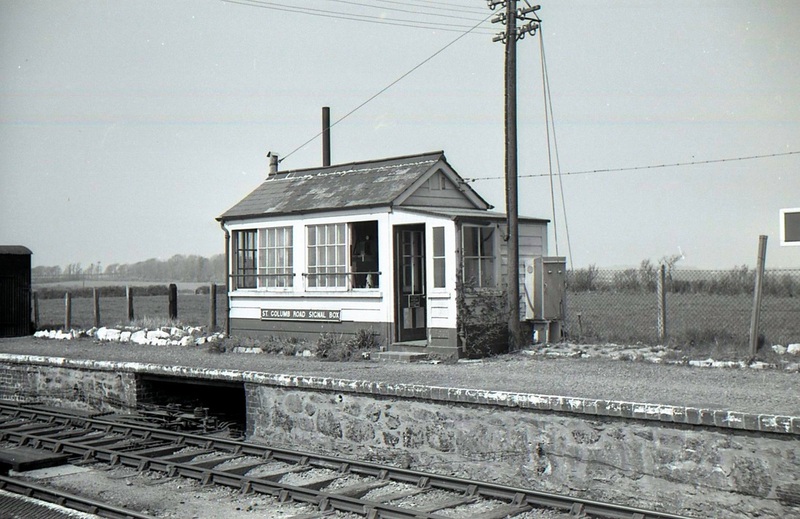 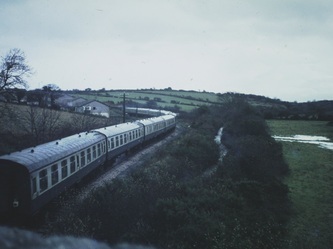 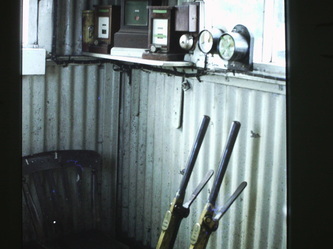 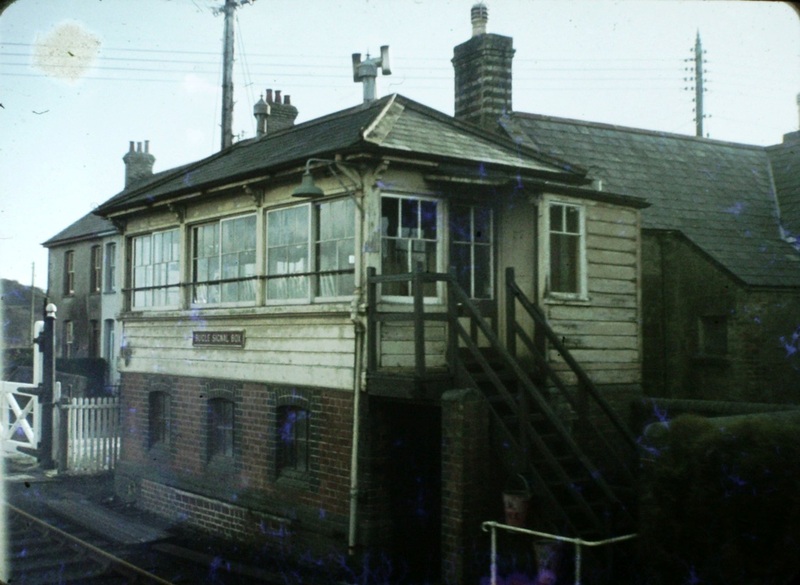 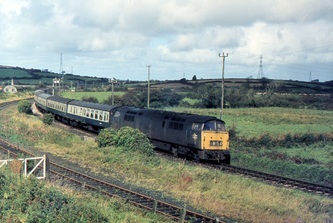 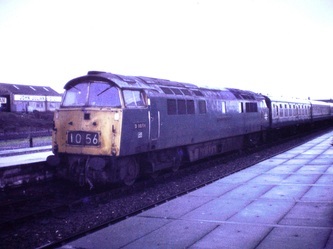 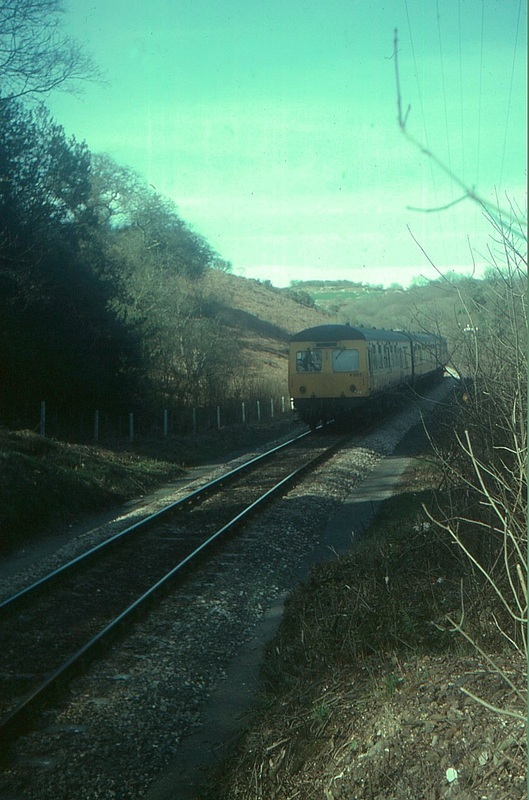 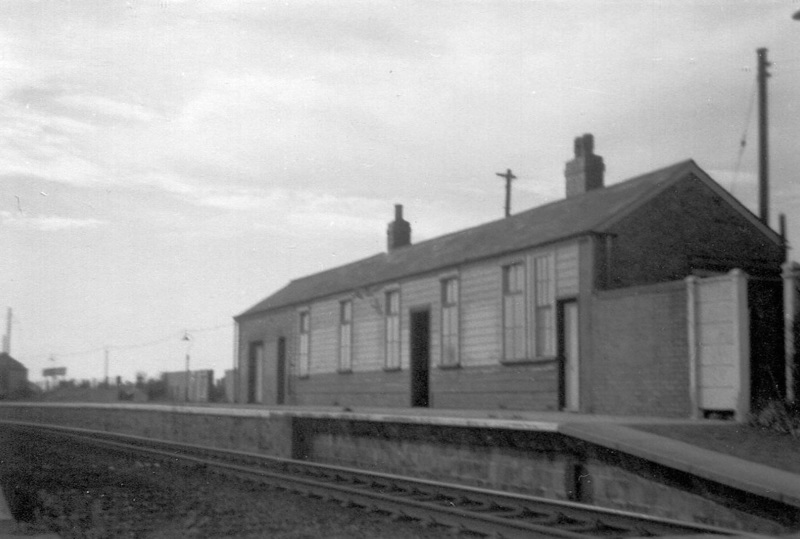 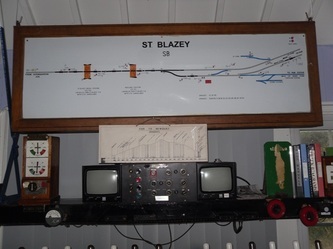 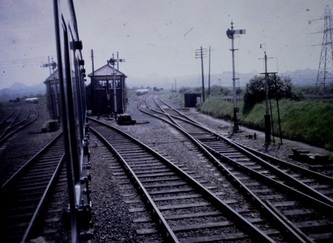 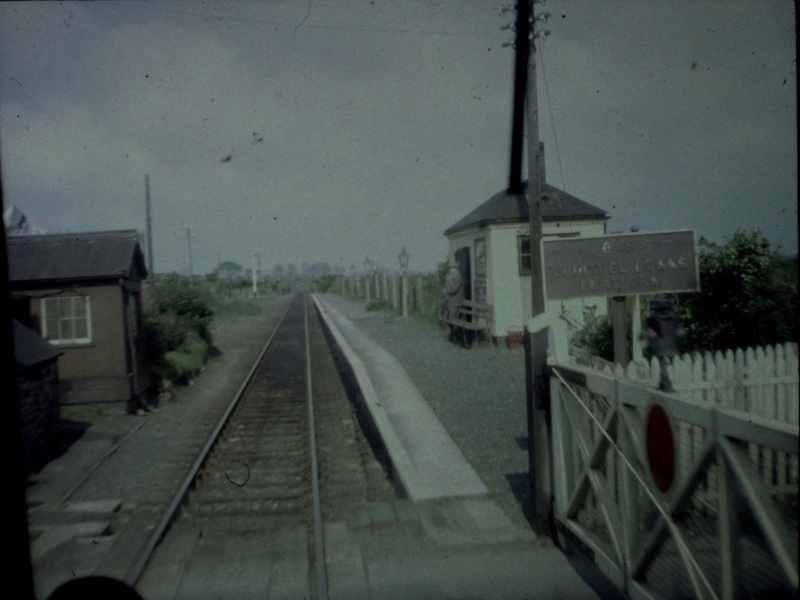 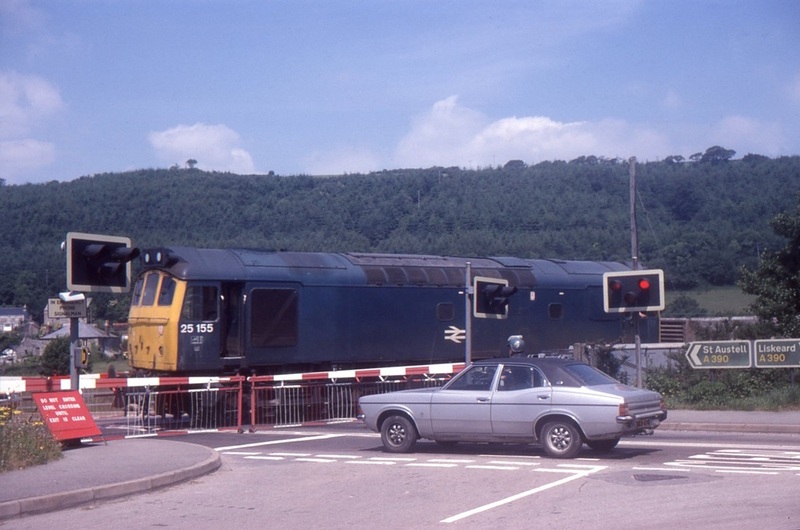 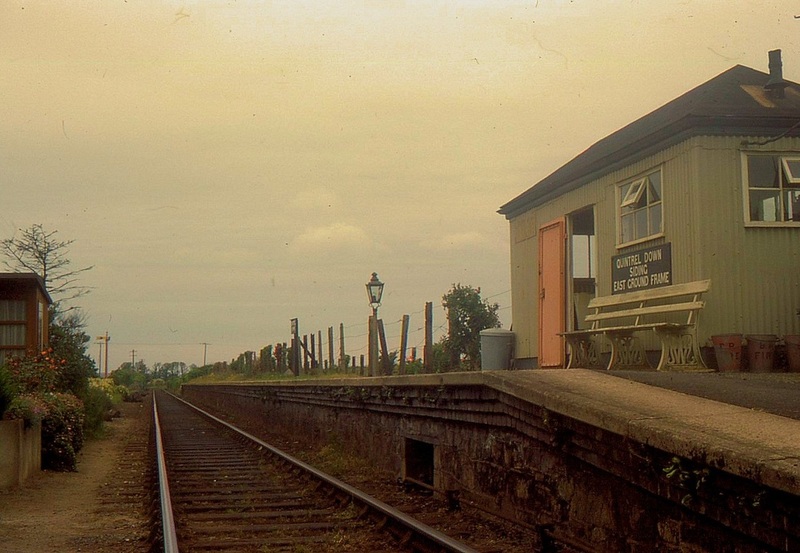 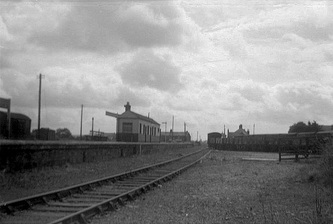 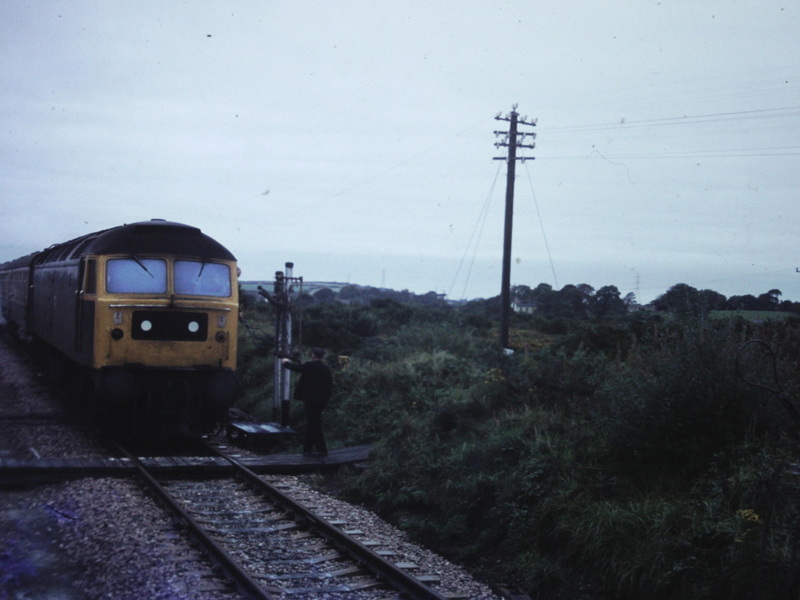 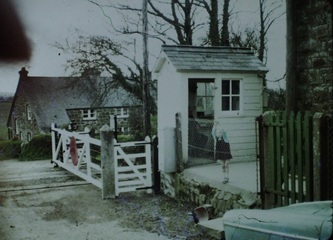 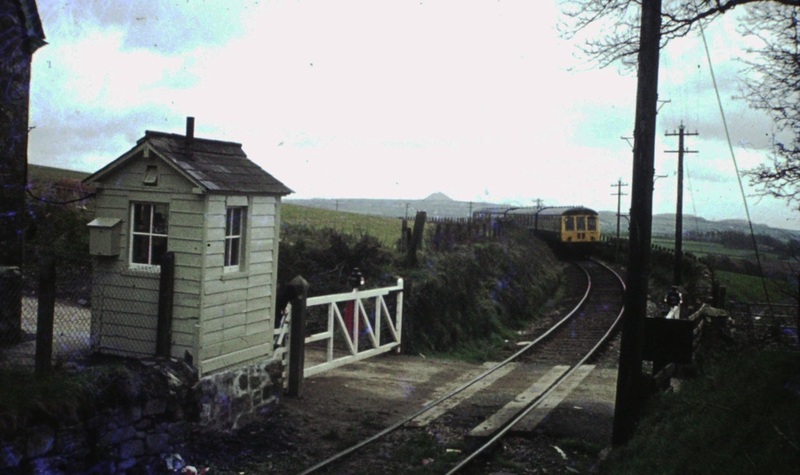 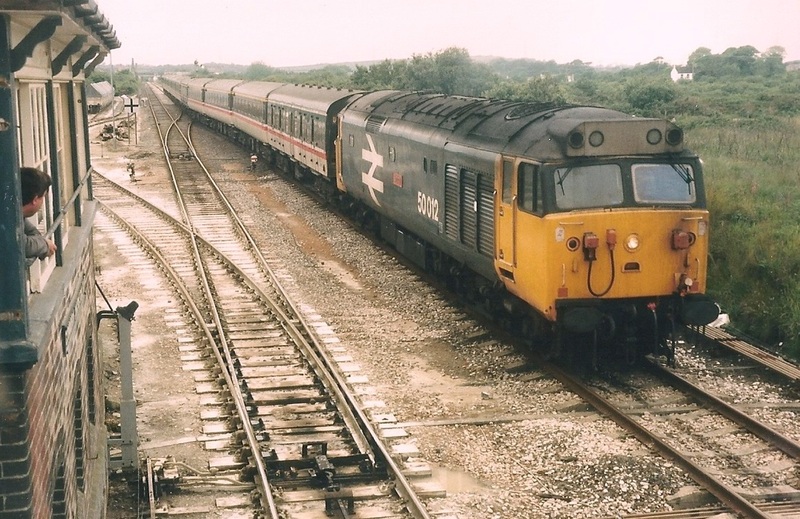 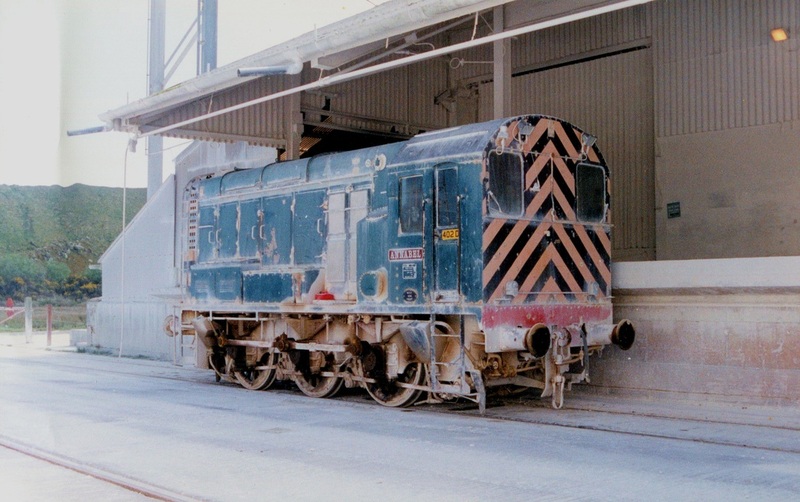 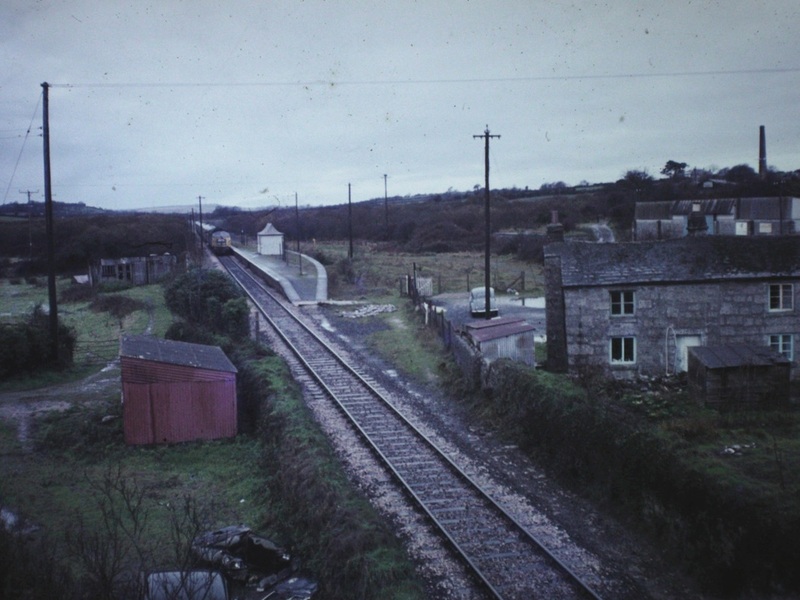 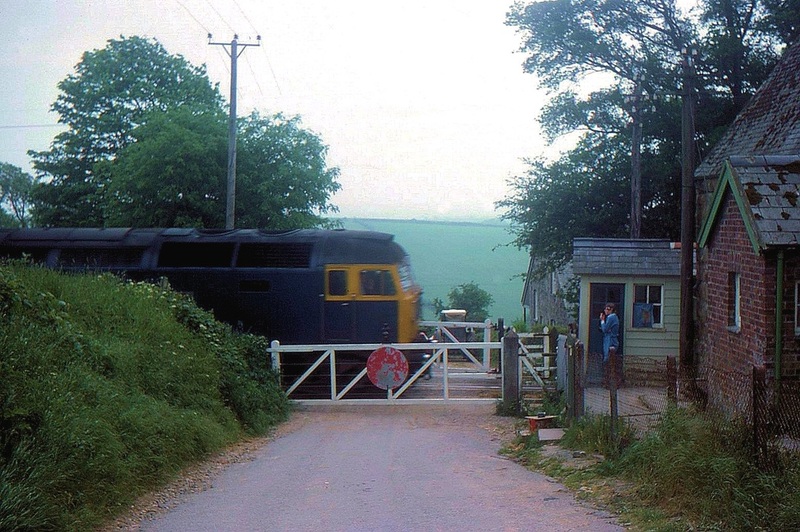 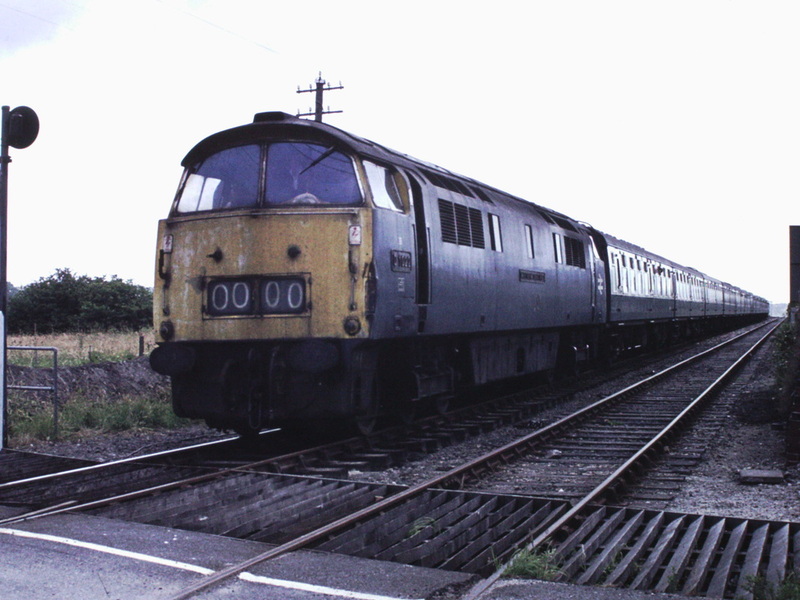 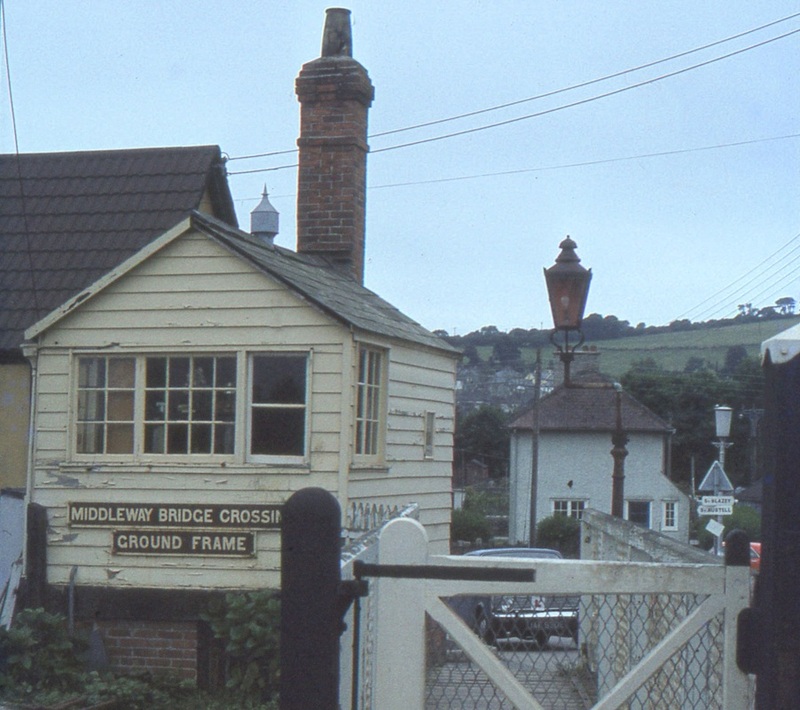 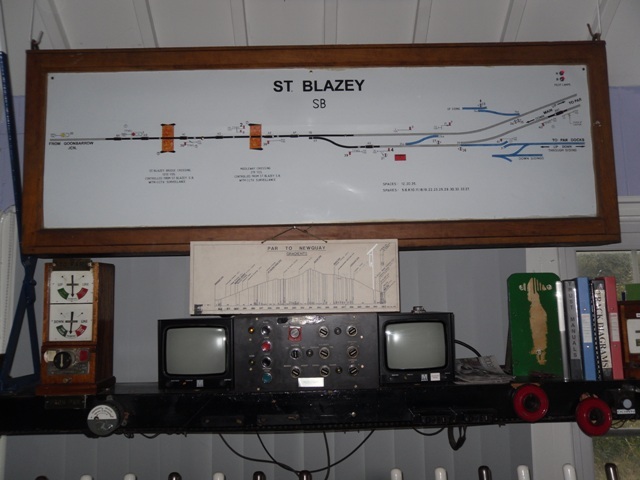 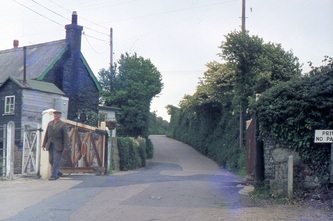 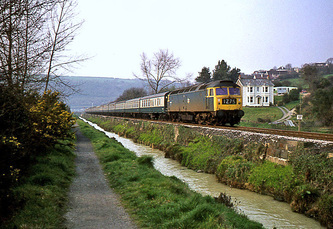 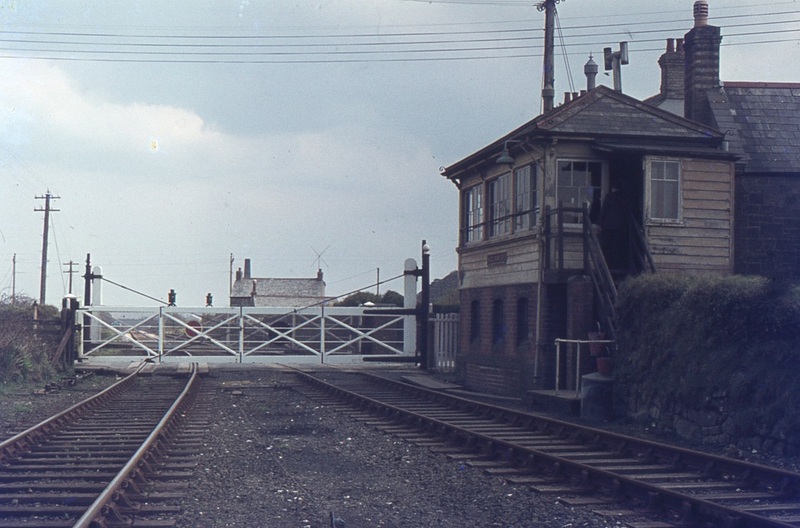 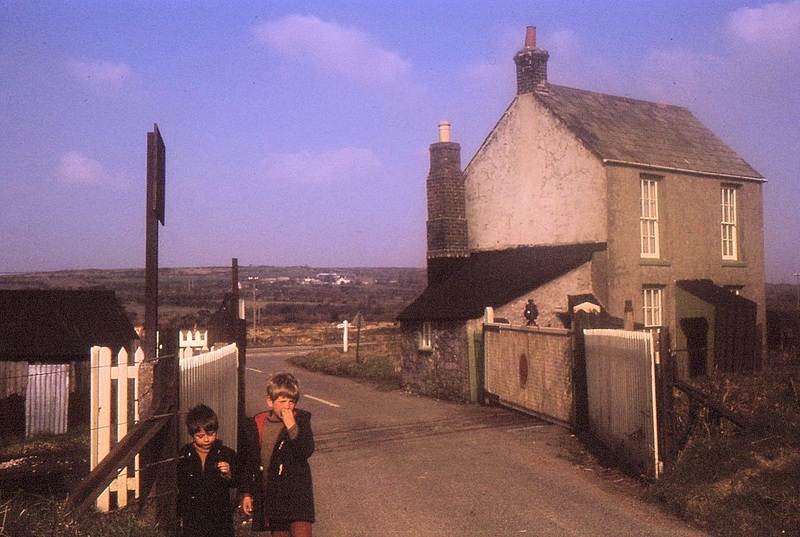 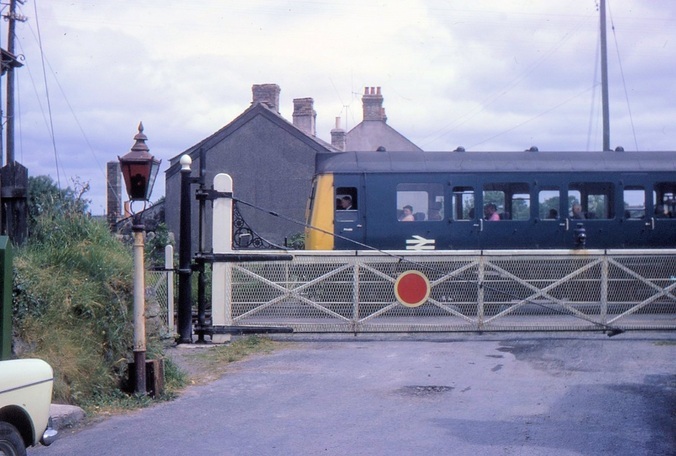 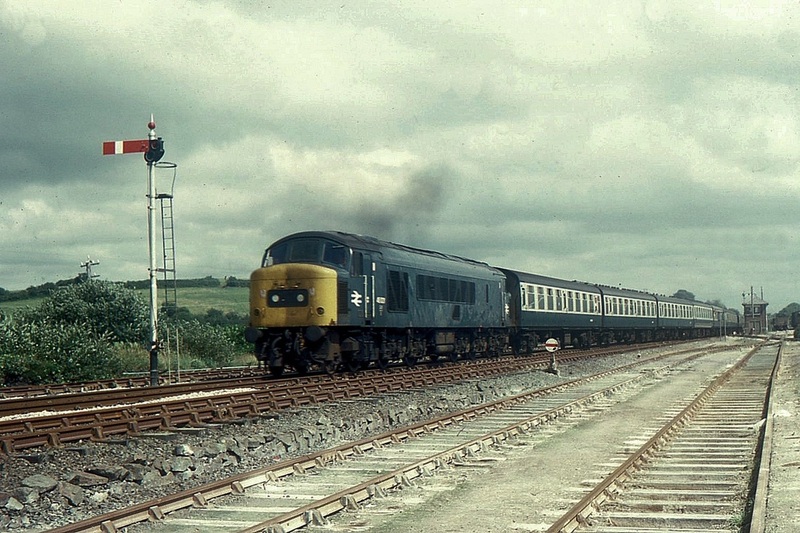 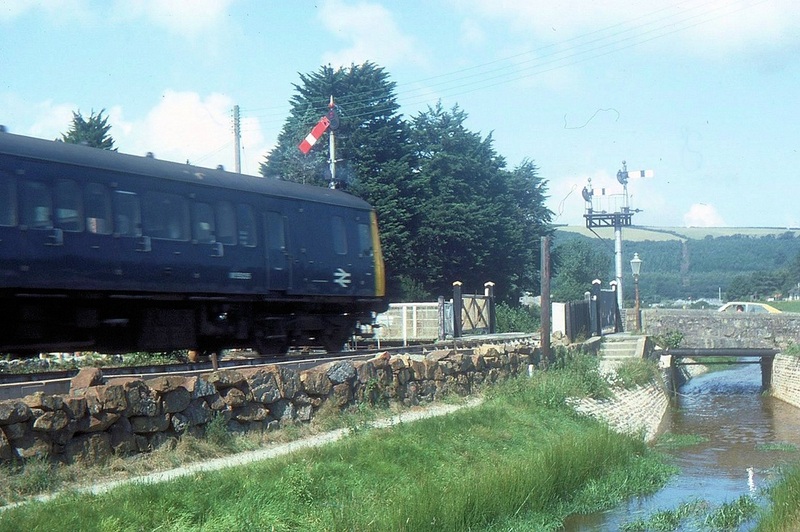 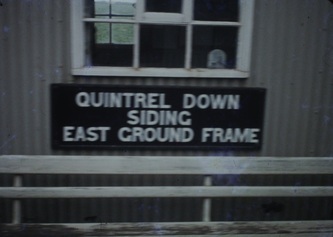 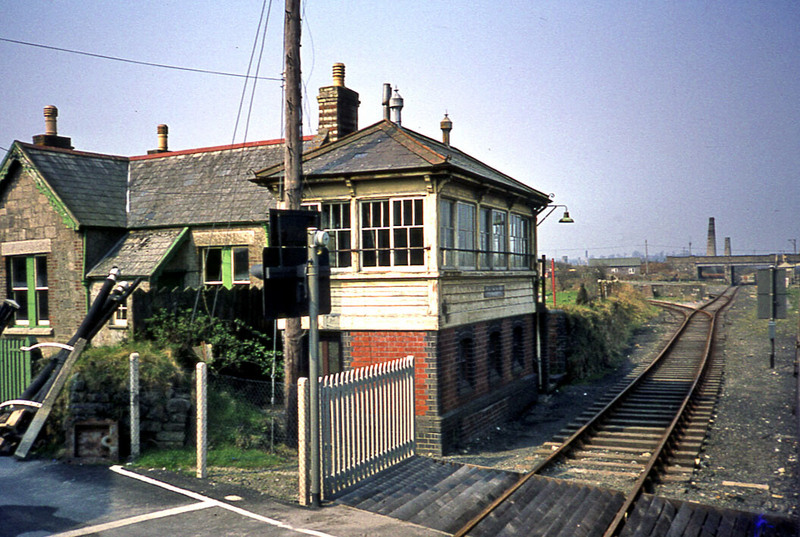 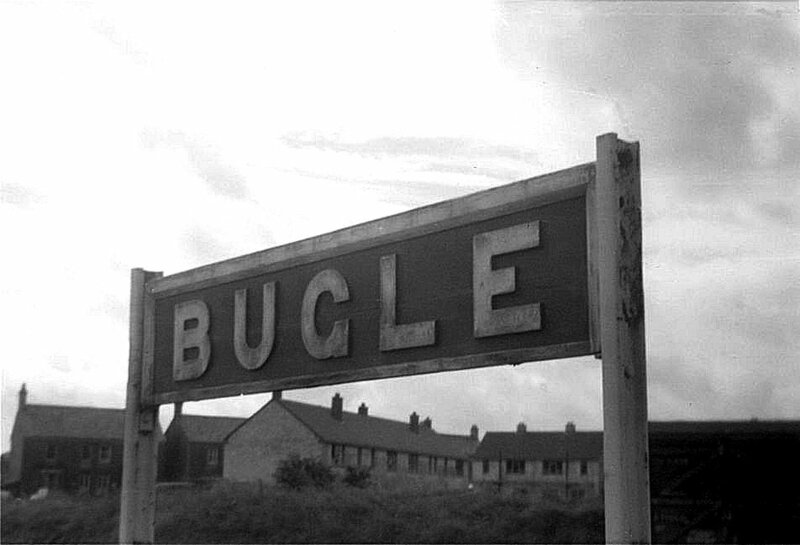 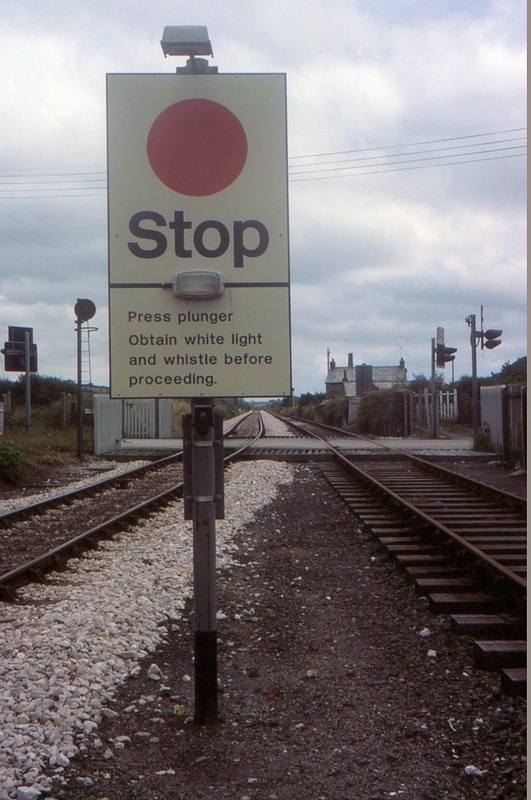 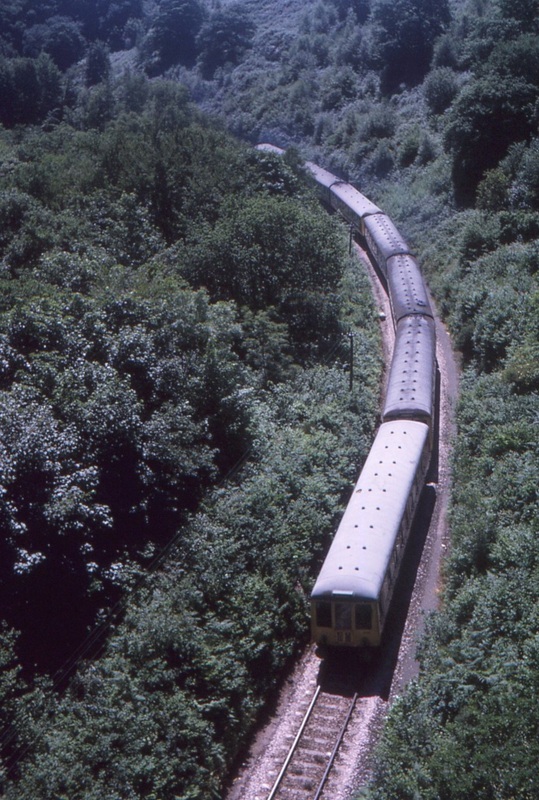 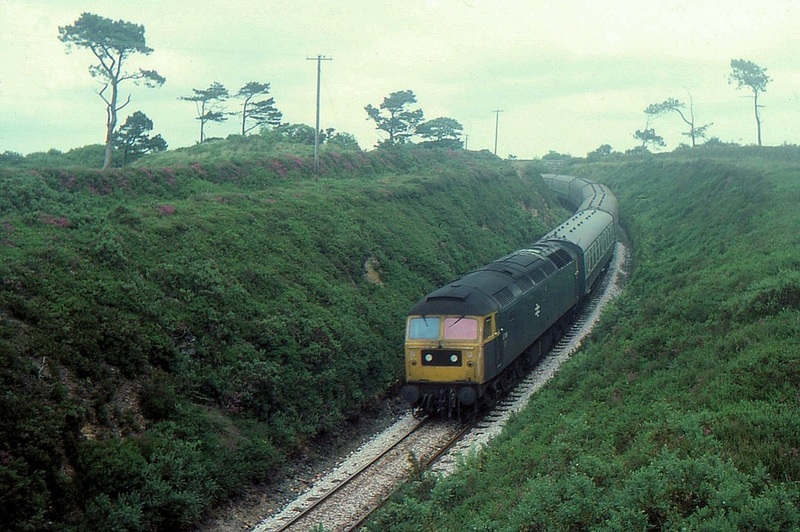 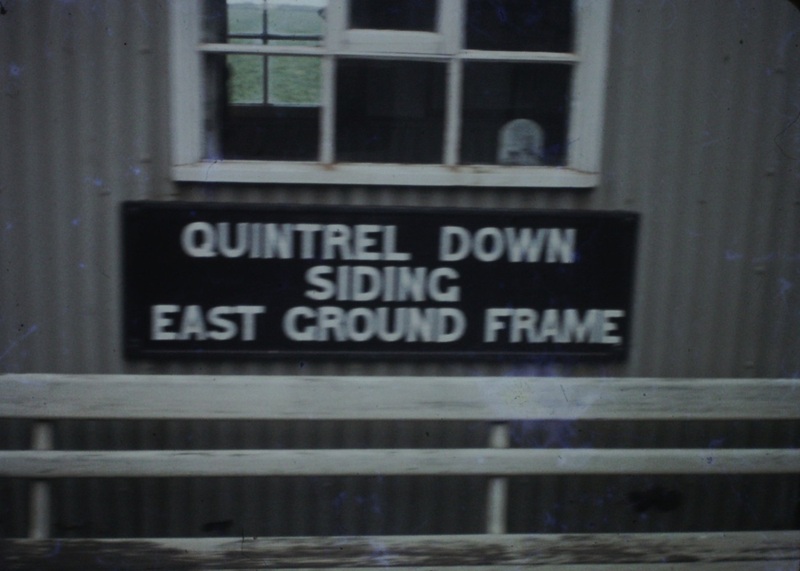 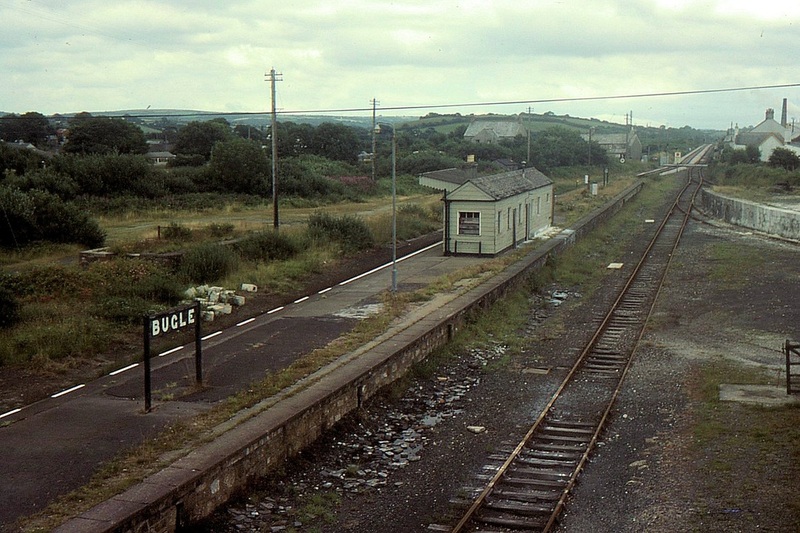 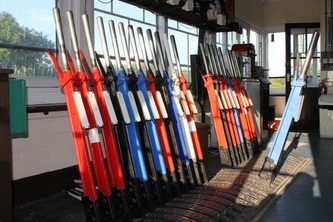 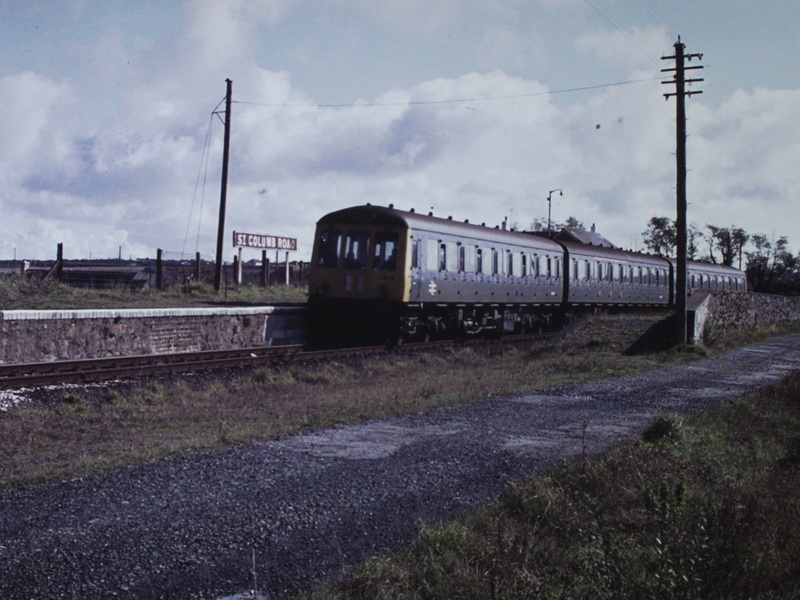 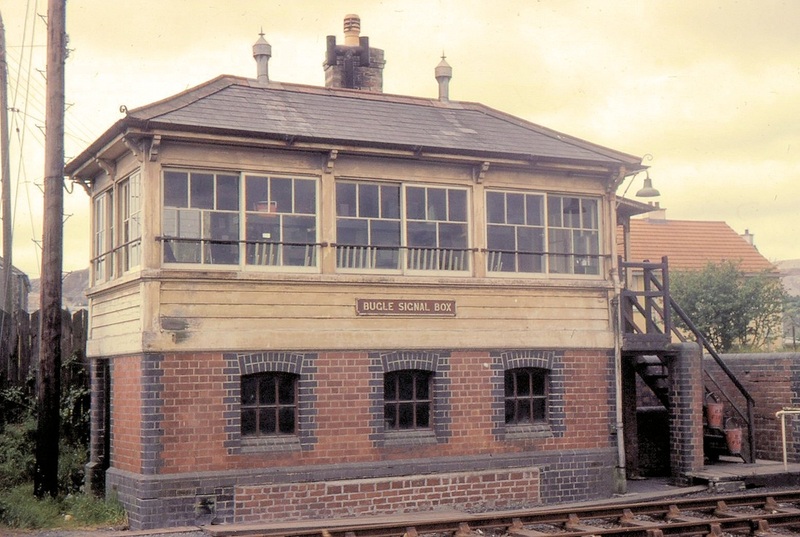 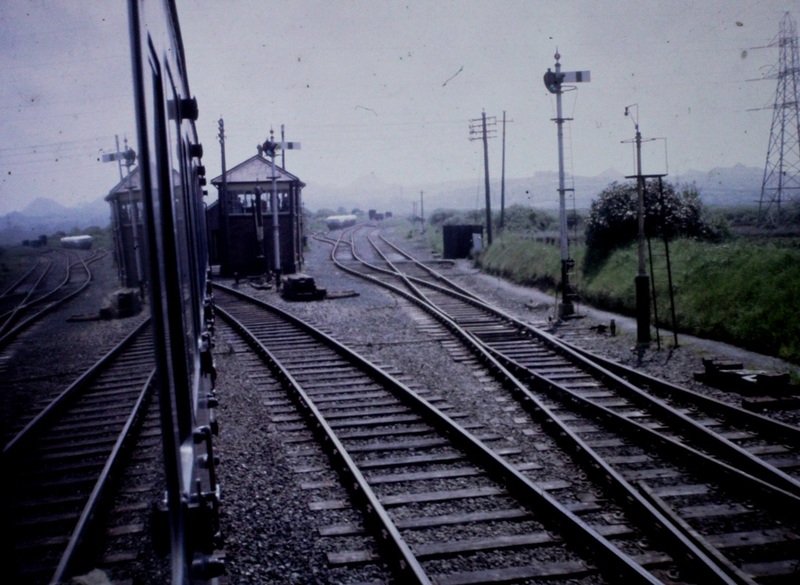 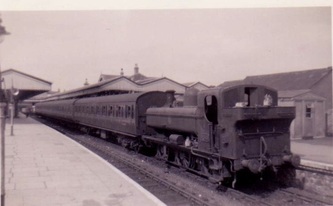 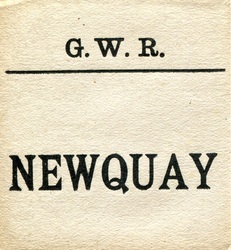 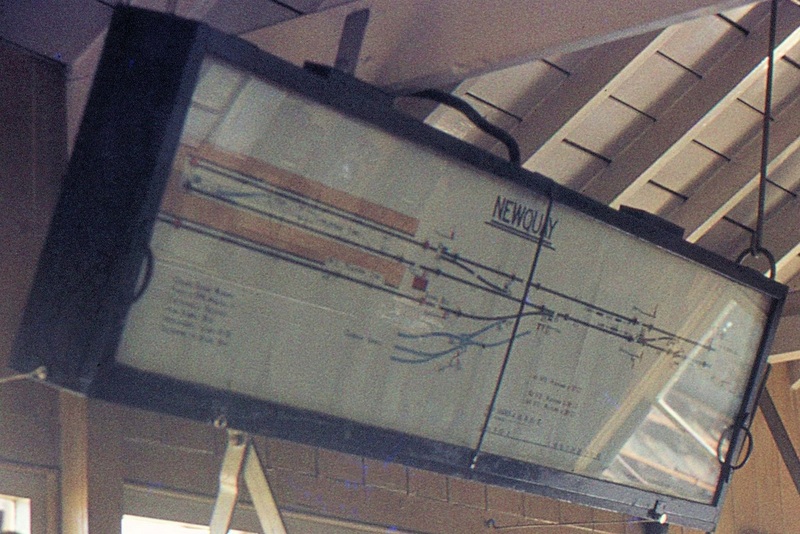 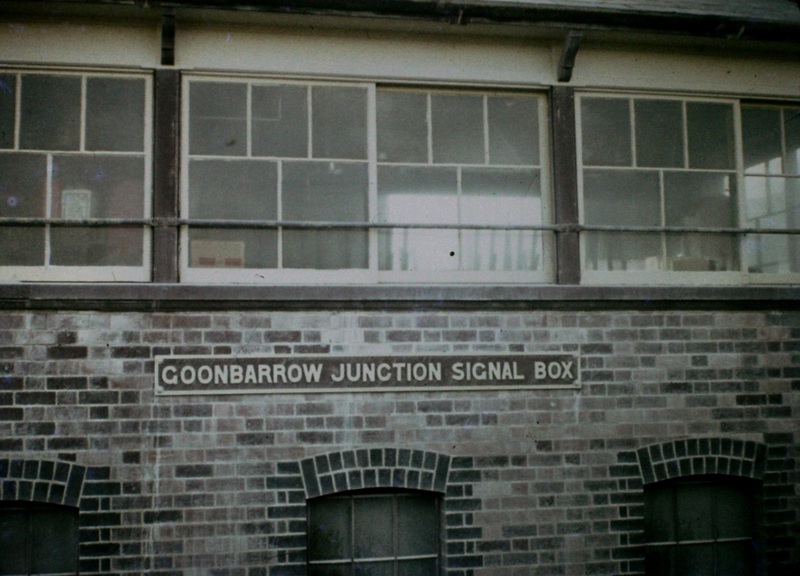 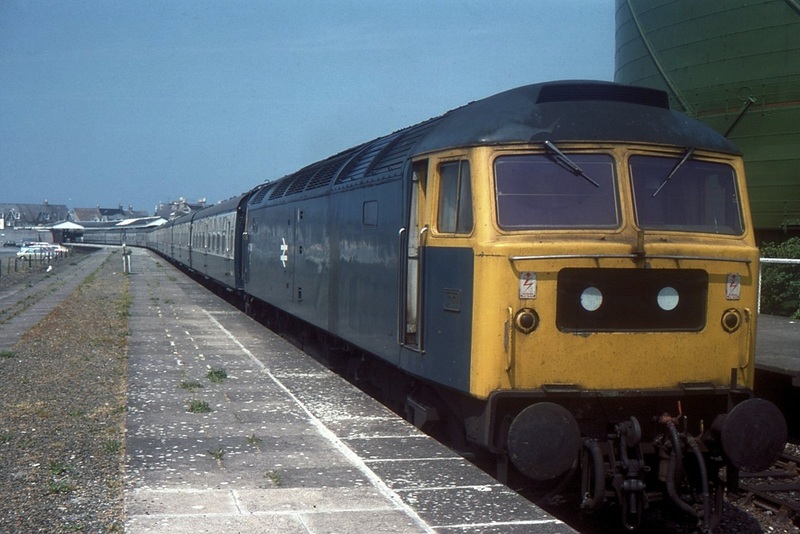 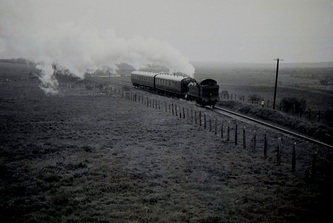 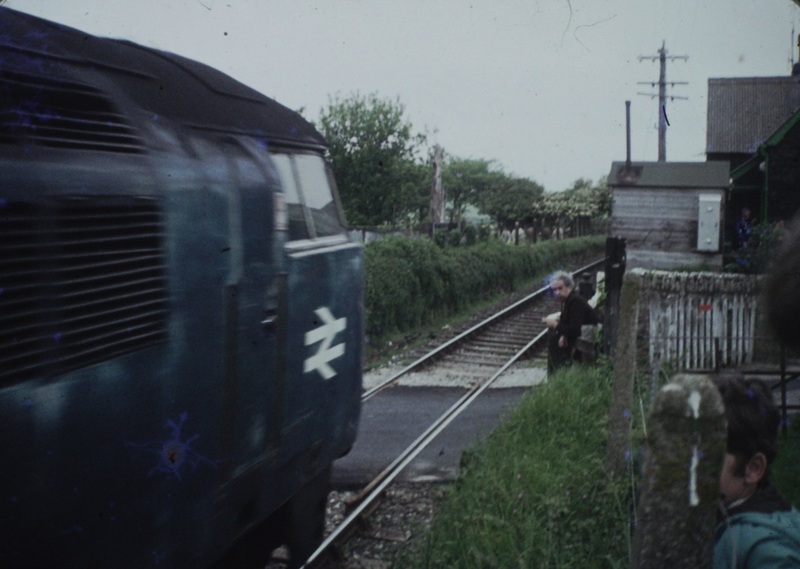 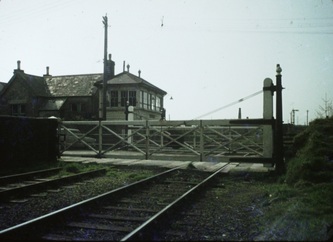 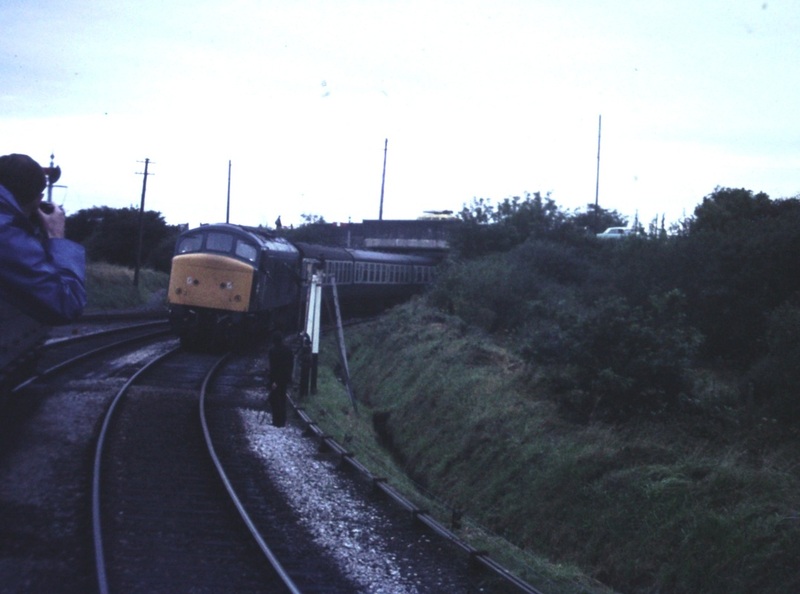 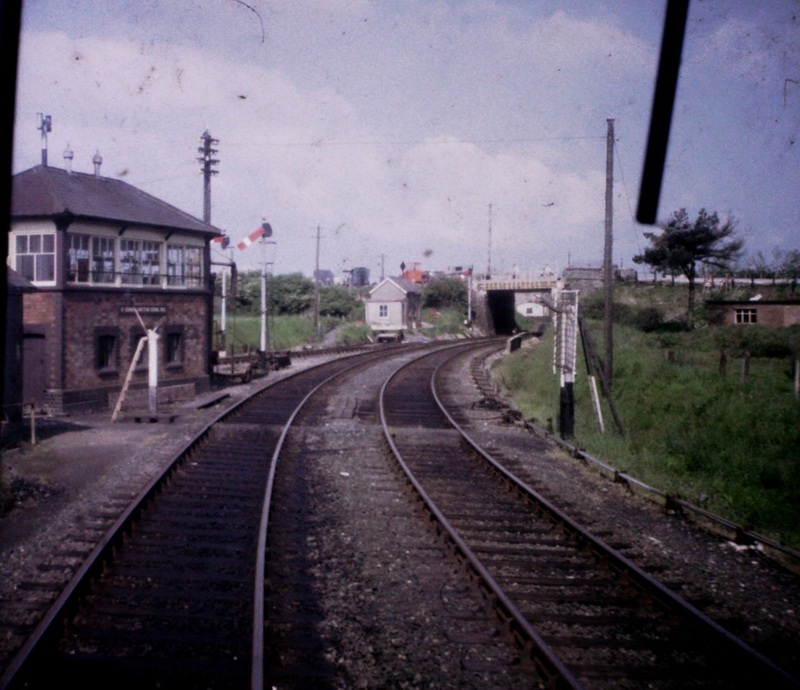 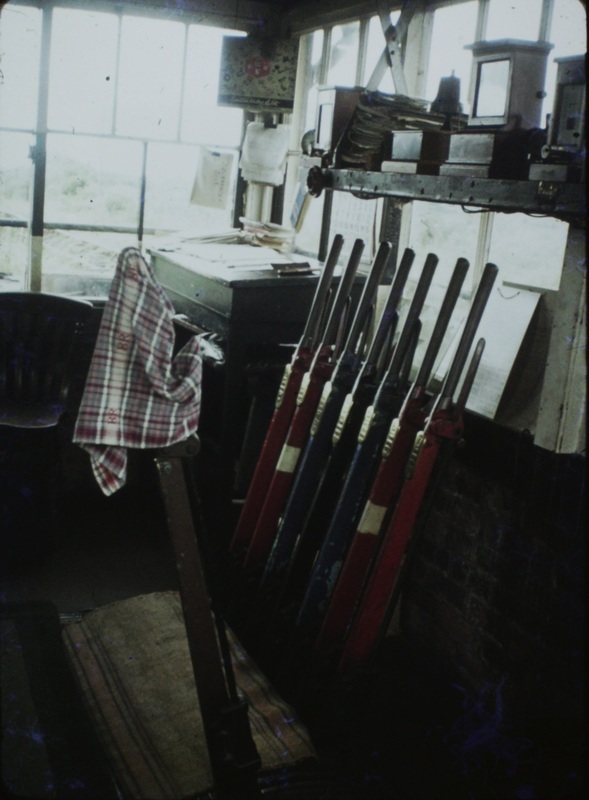 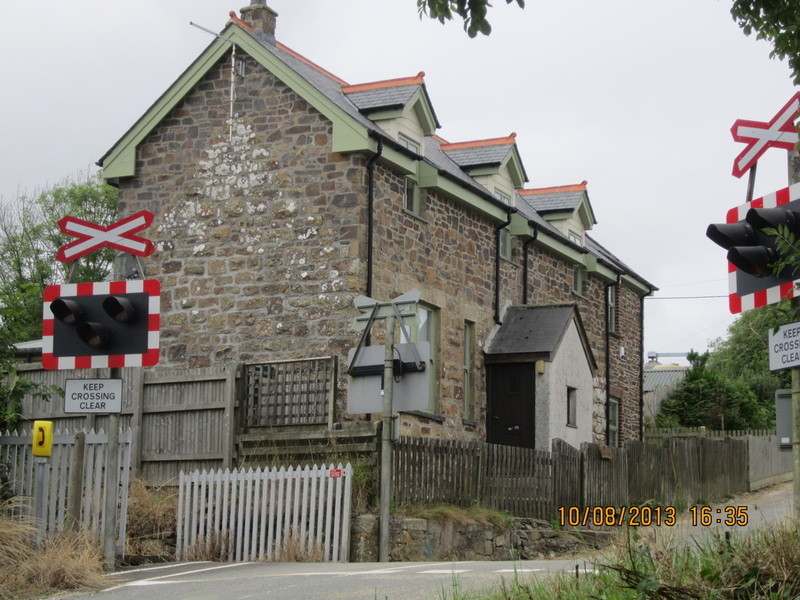 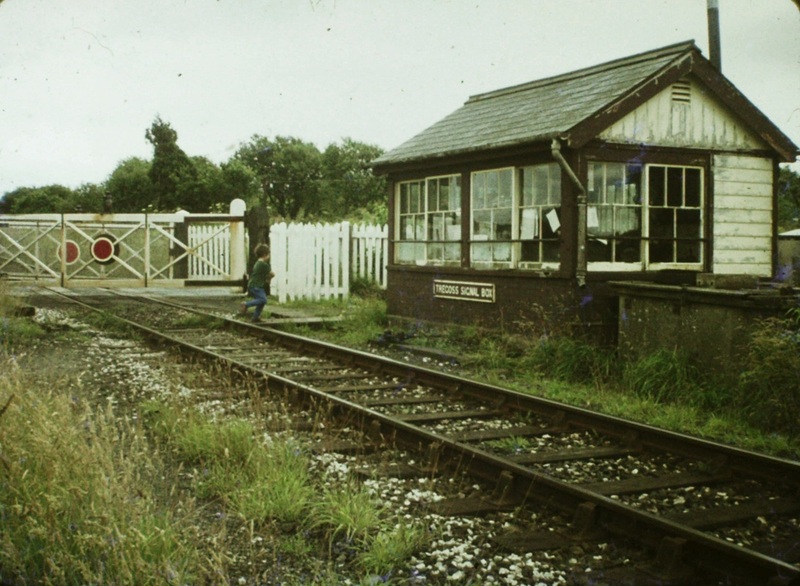 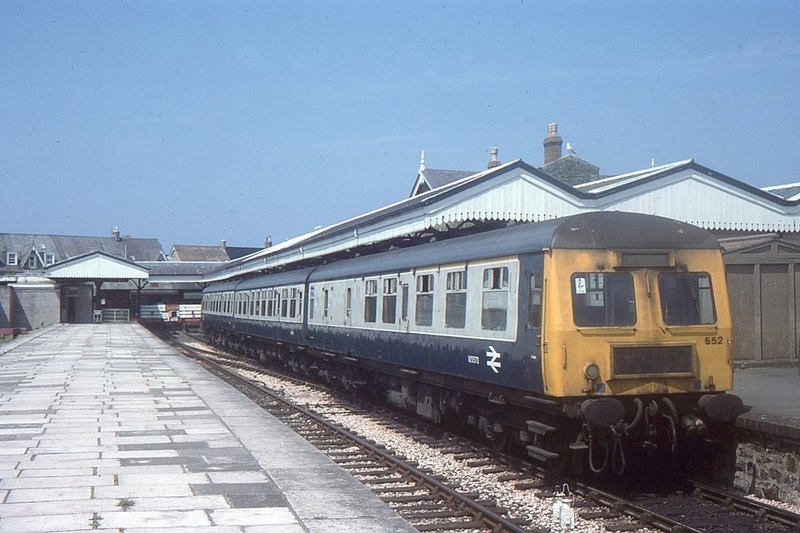 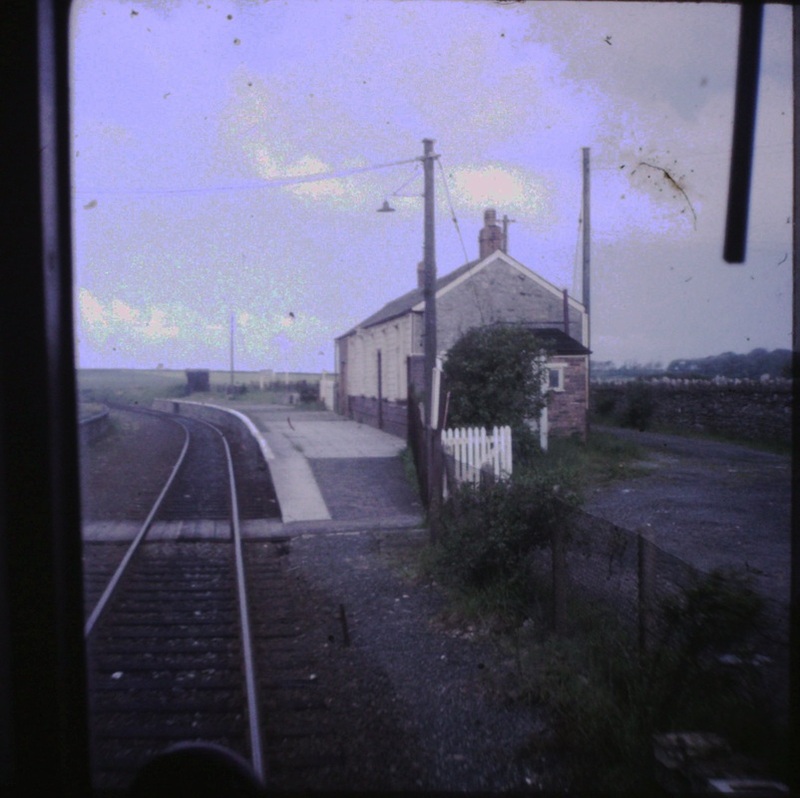 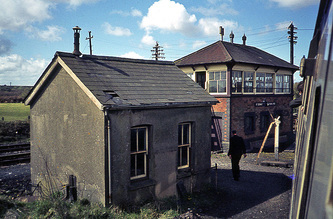 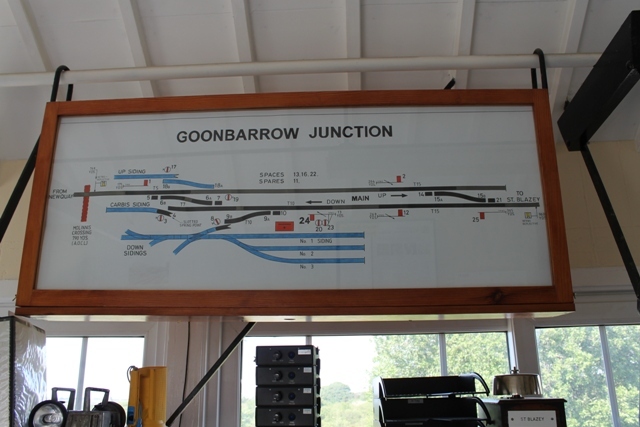 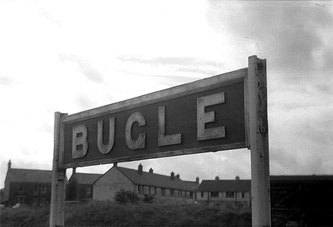 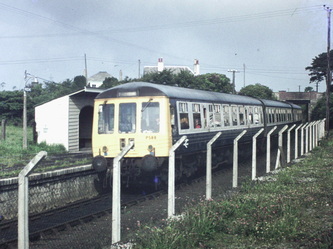 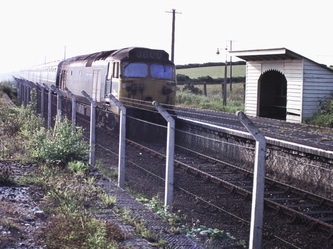 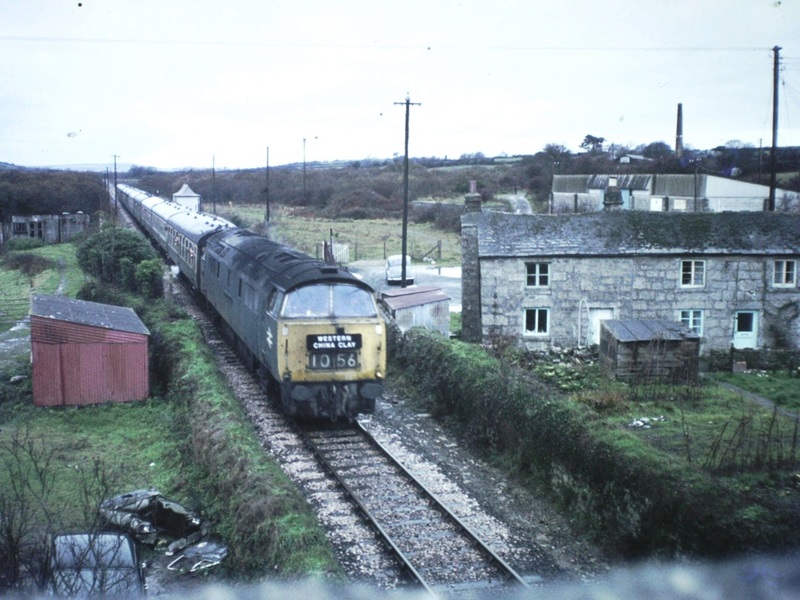 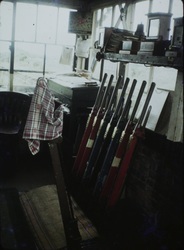 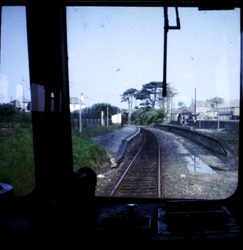 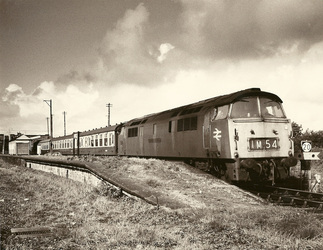 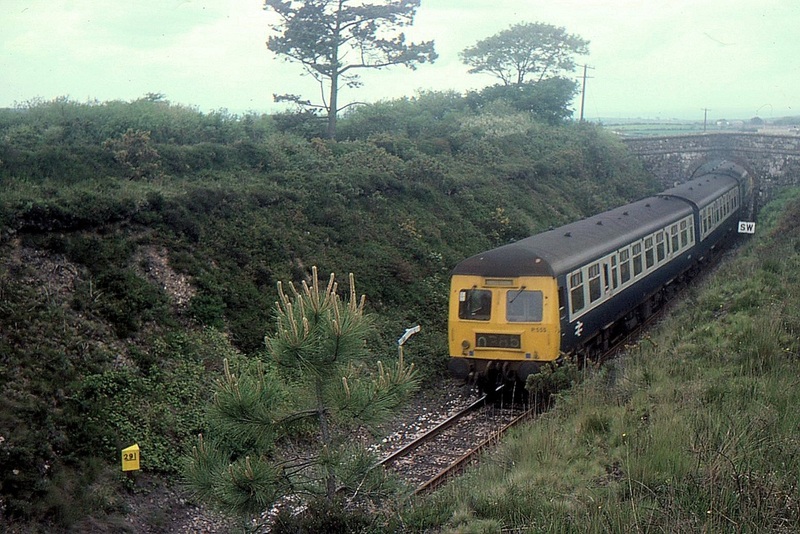 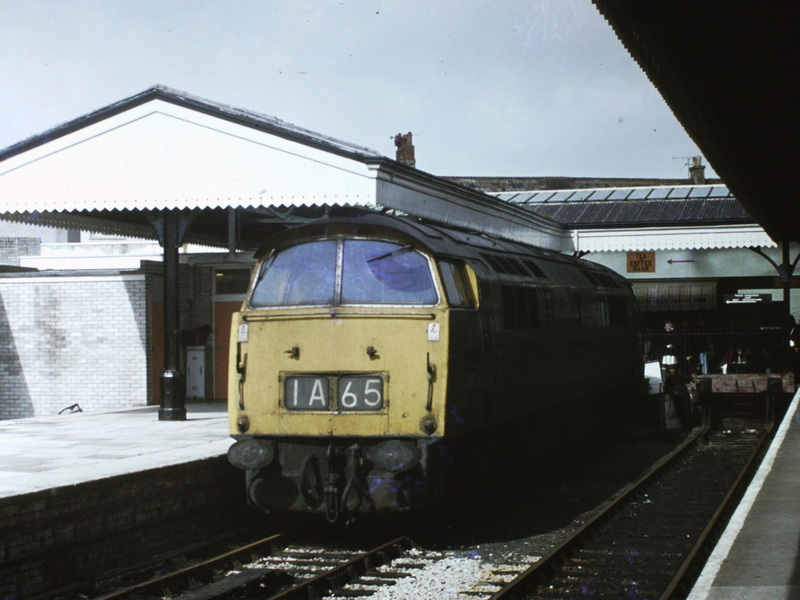 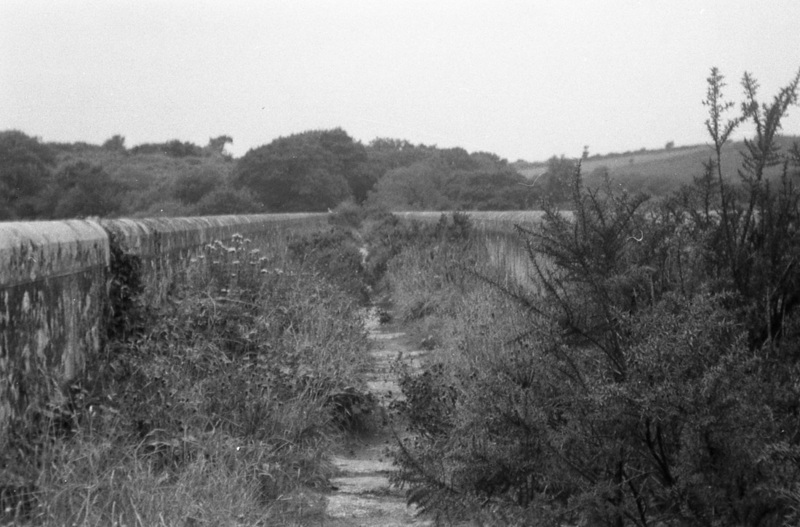 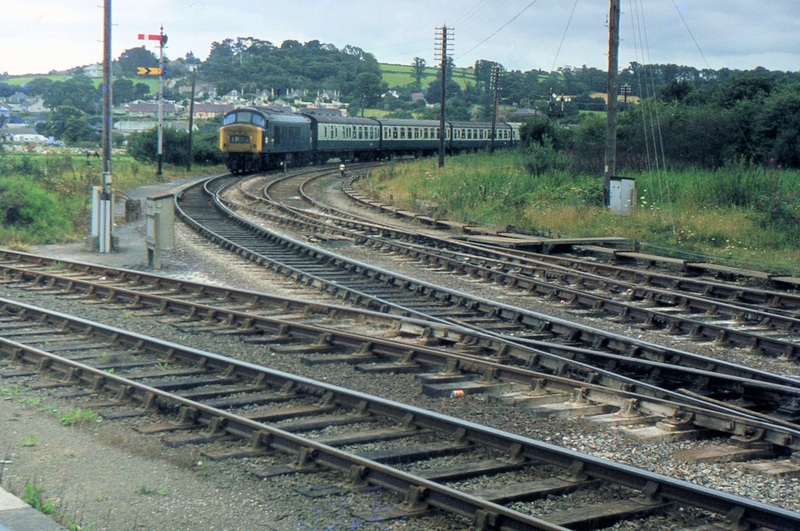 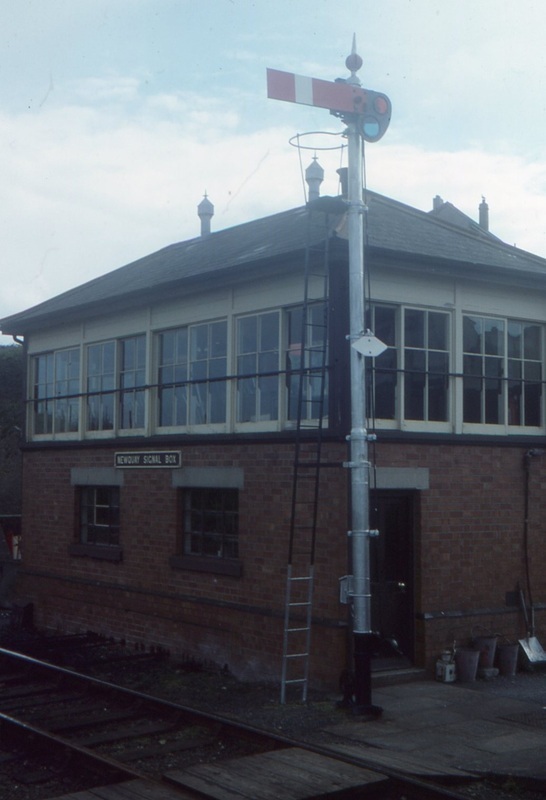 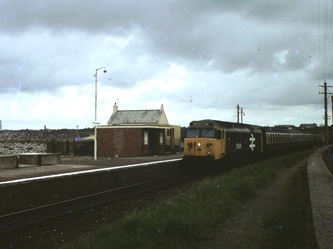 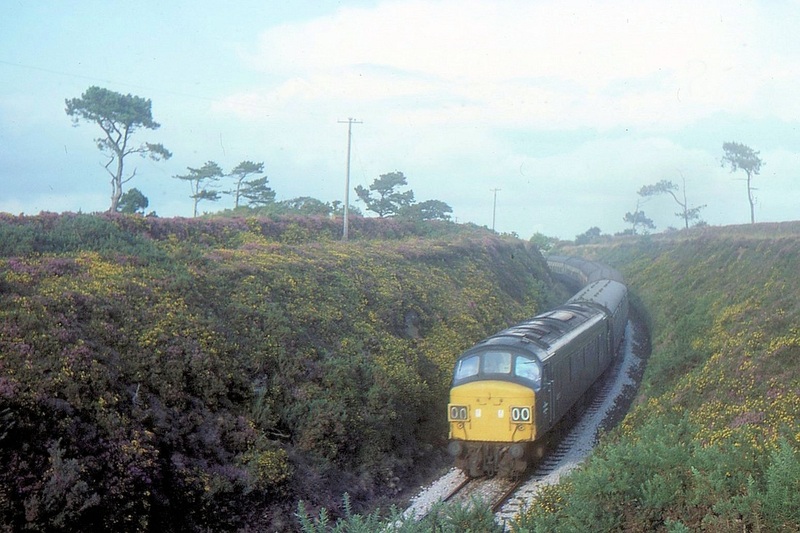 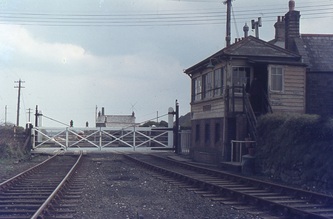 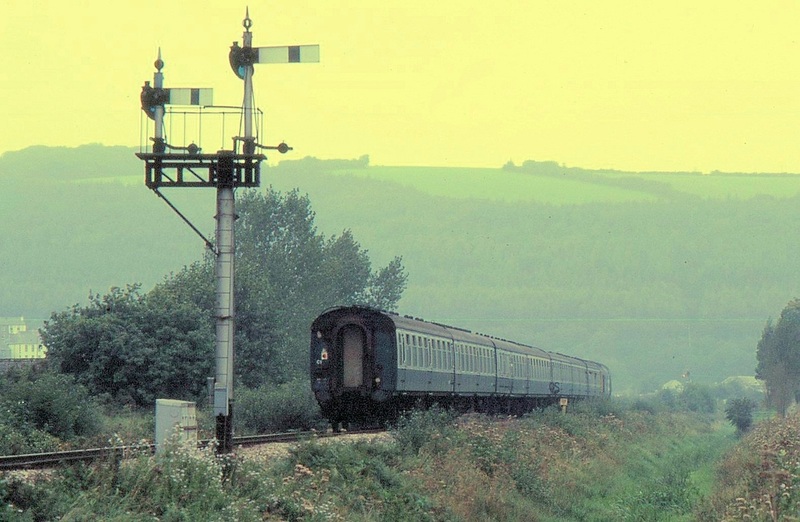 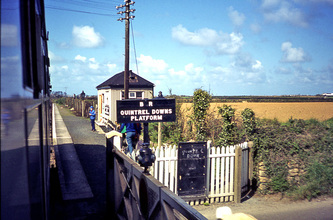 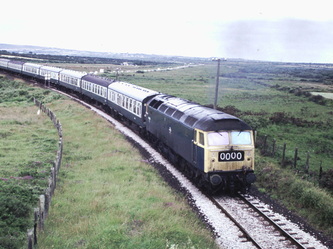 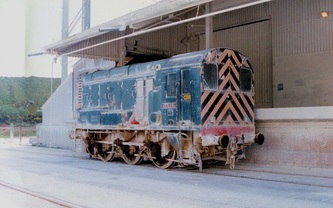 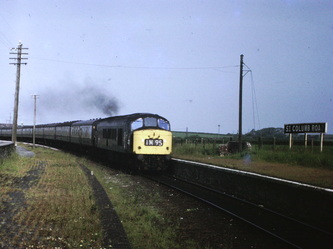 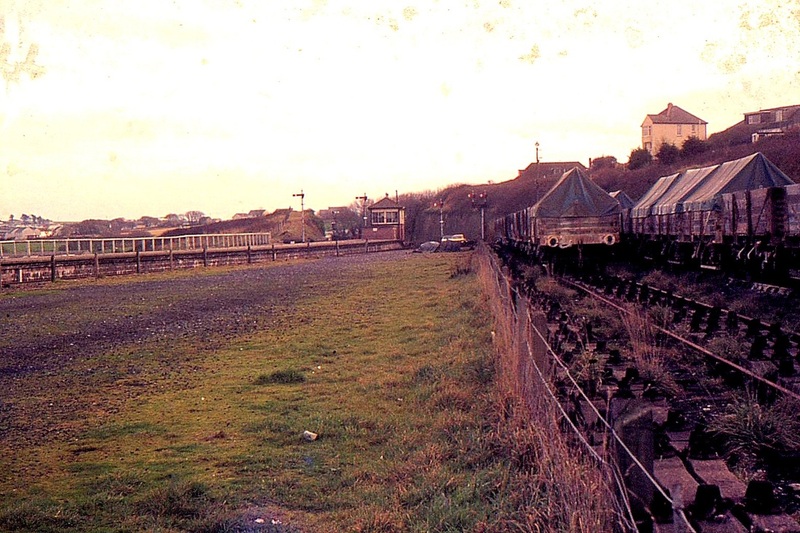 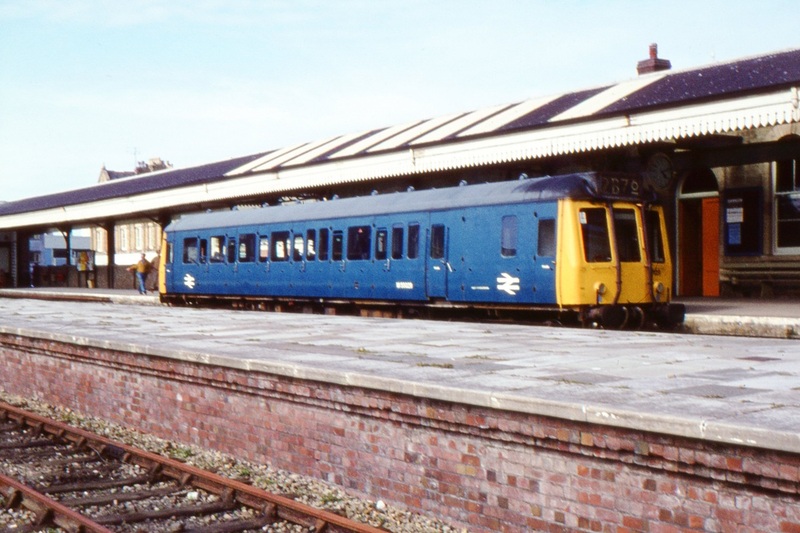 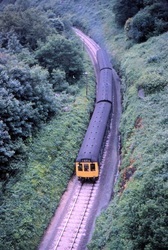 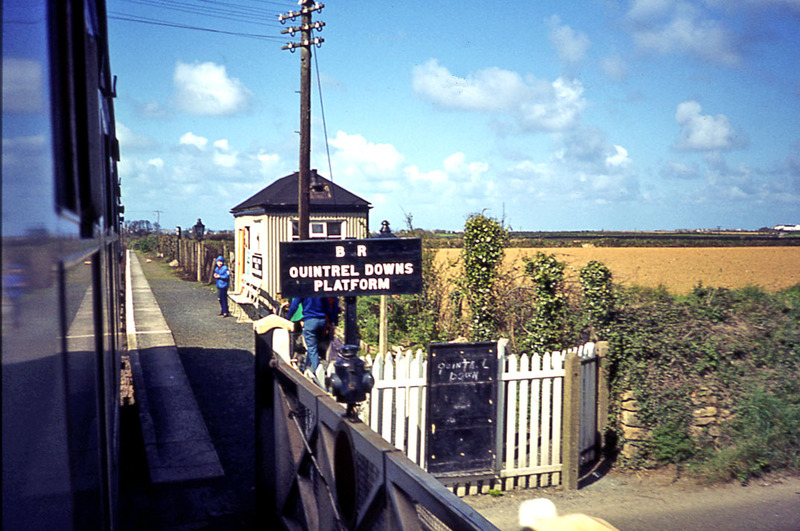 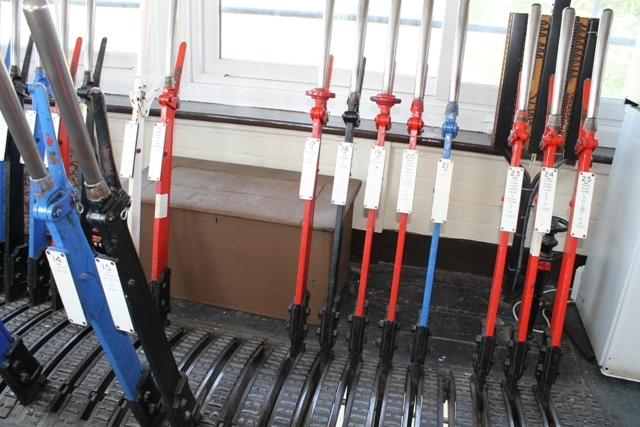 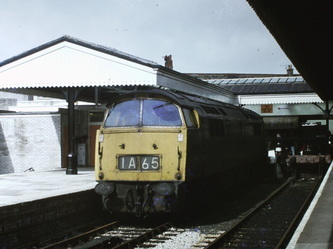 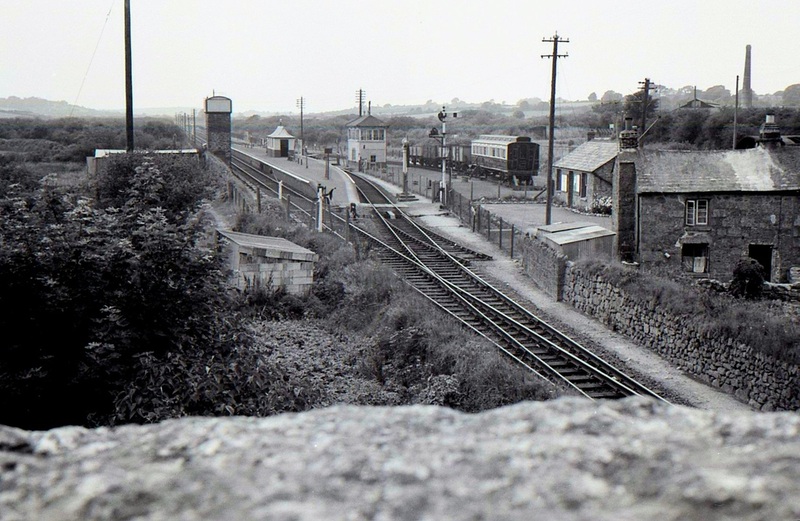 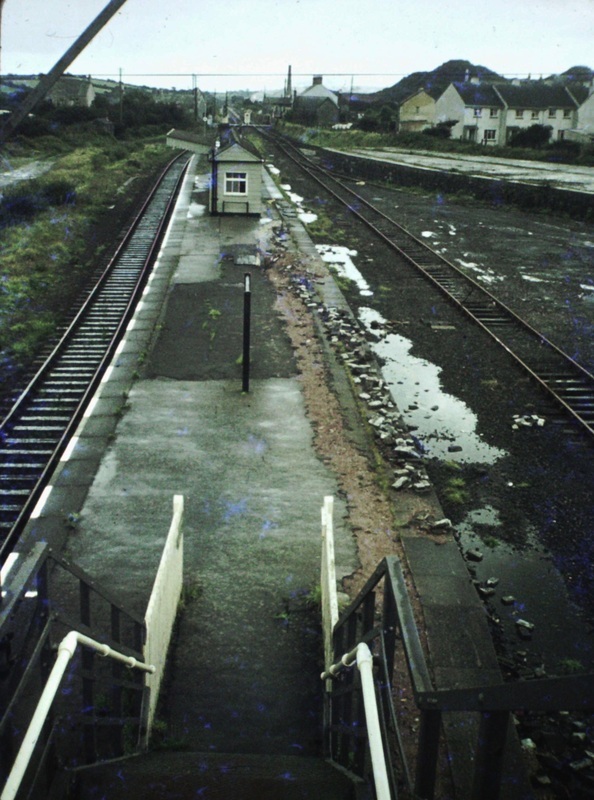 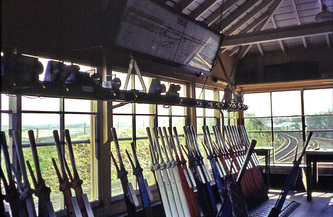 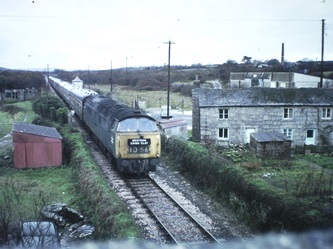 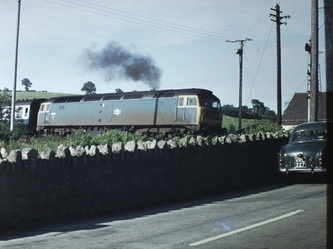 It's June 1977 the lady standing in front of the cabin has closed the gates to road traffic, set the signals, and the 47 speeds past in a blur with a service Newquay bound. 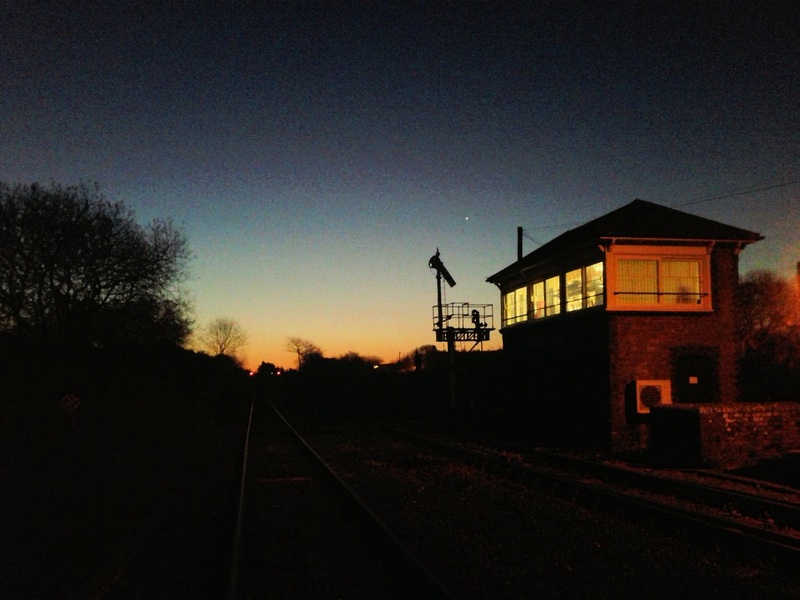 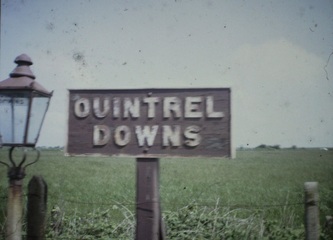 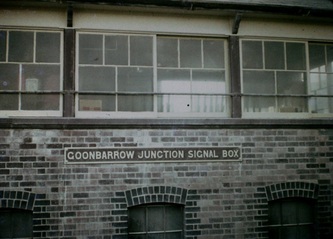 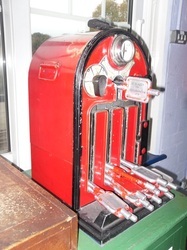 Copyright Mike Roach N.B. 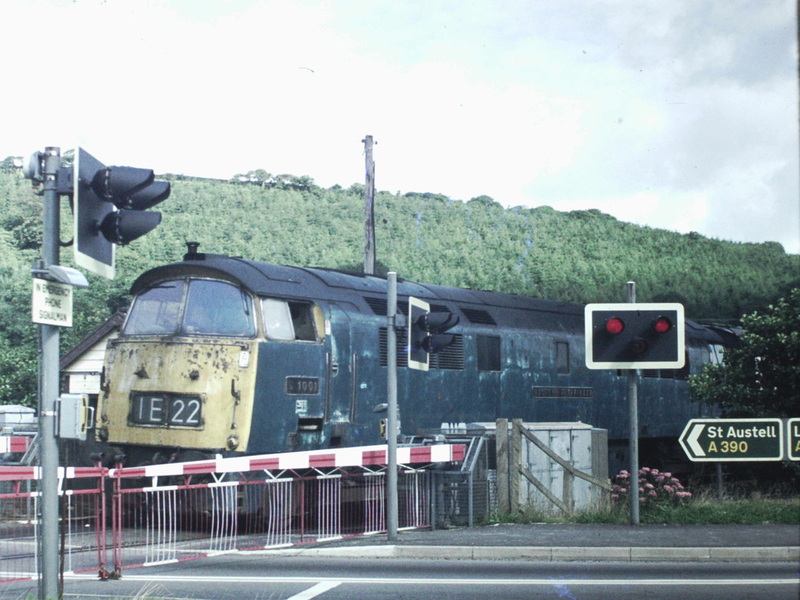 This is now an open crossing protected by flashing lights and there have been at least two serious incidents - motorists beware!